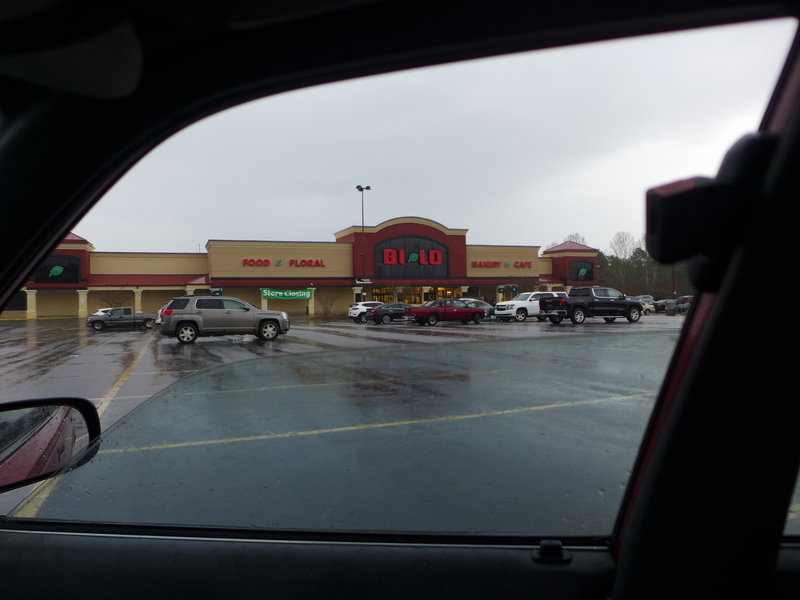 Well, I would rather not take pictures through the passenger side window just to keep the camera semi-dry, but those are the conditions that prevail lately.. 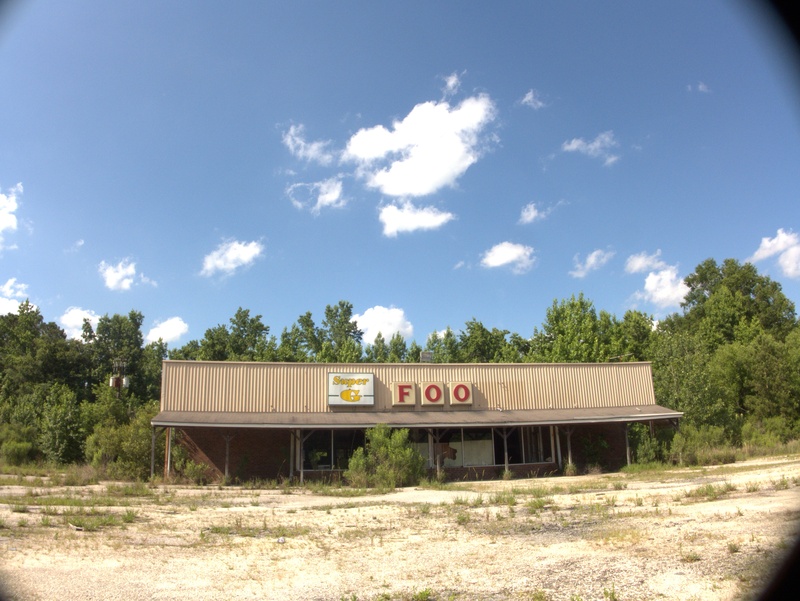 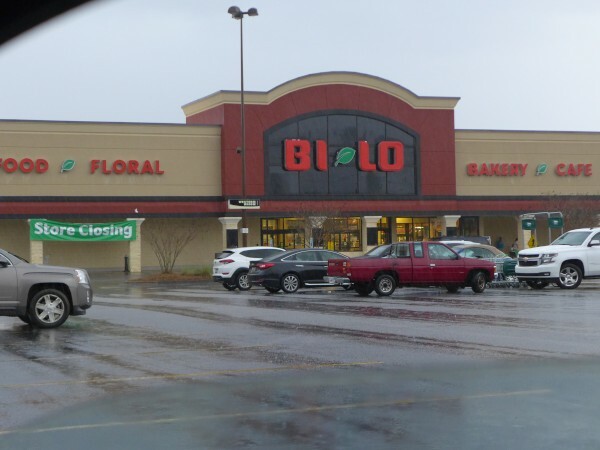 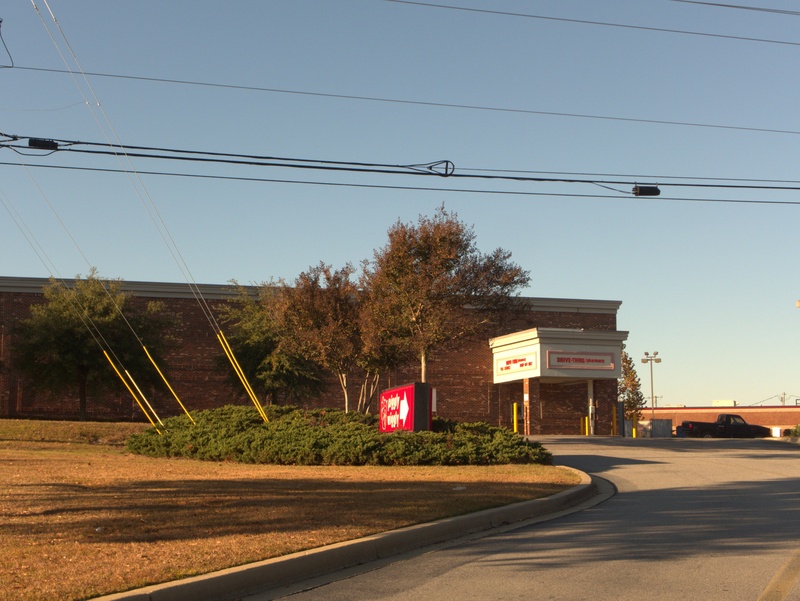 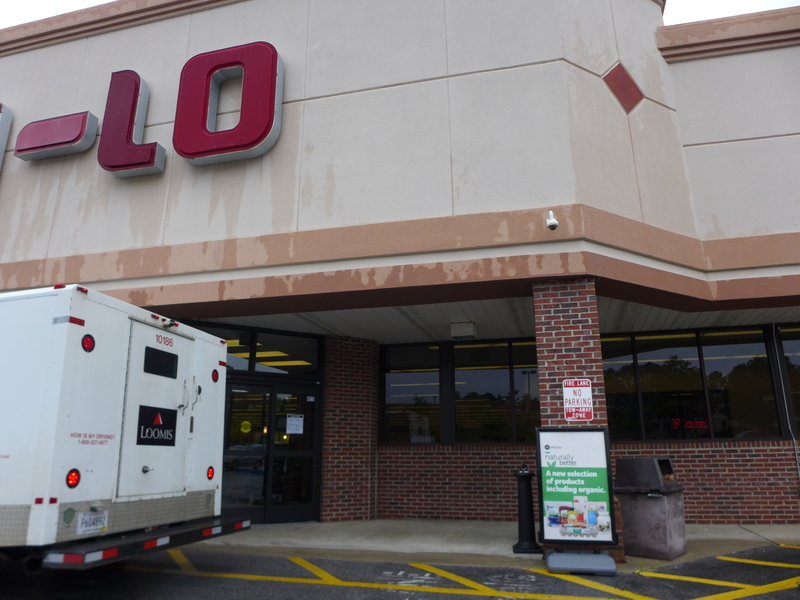 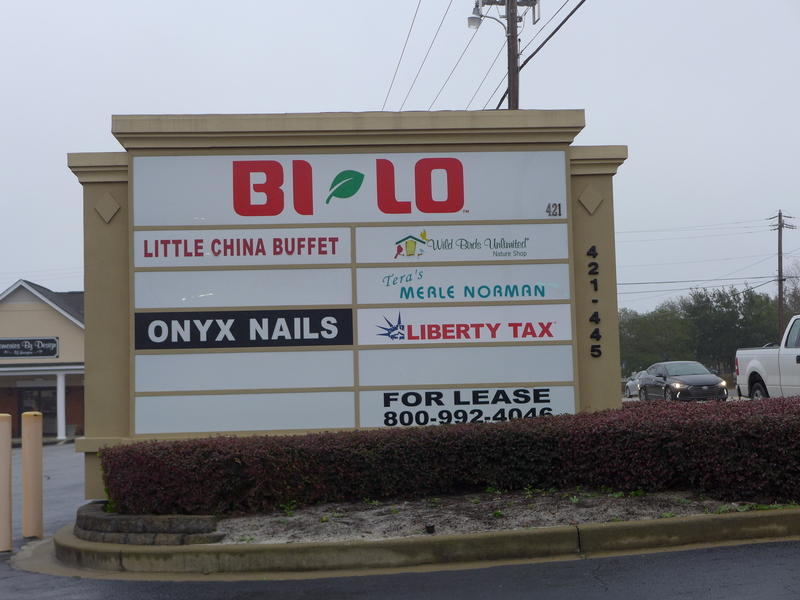 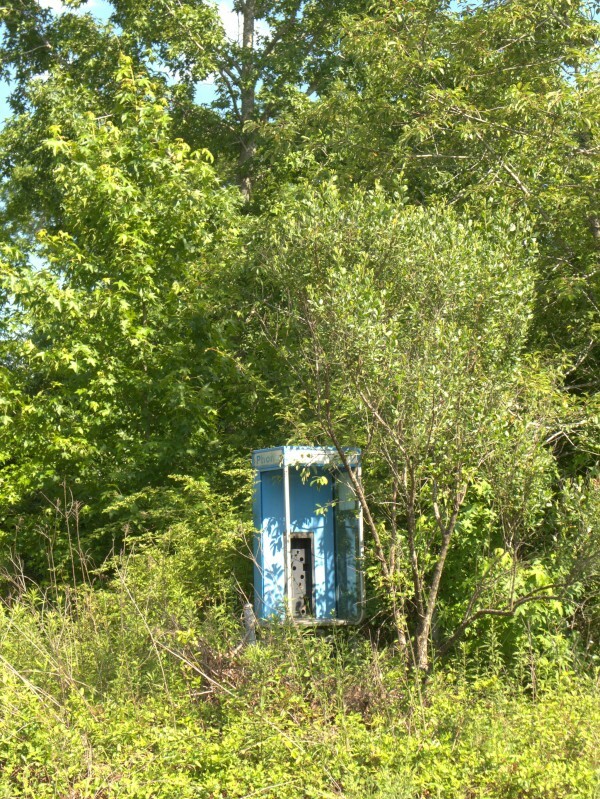 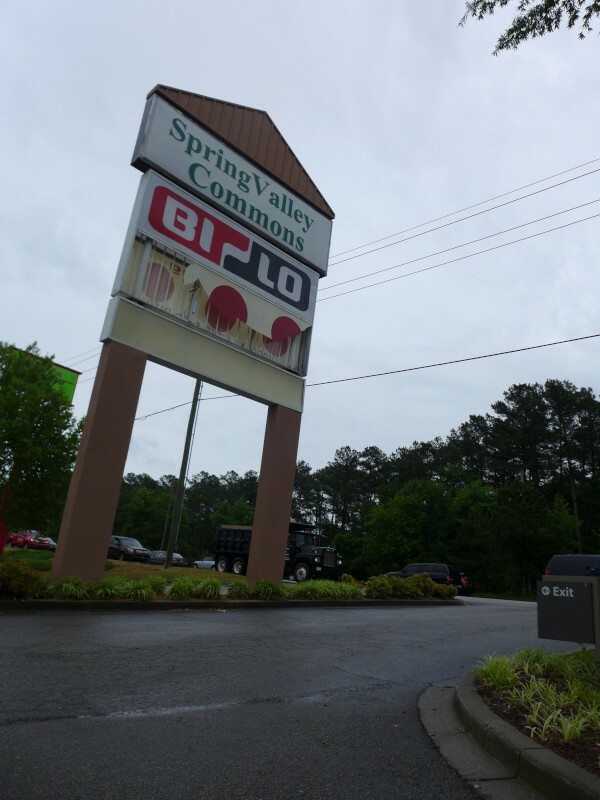 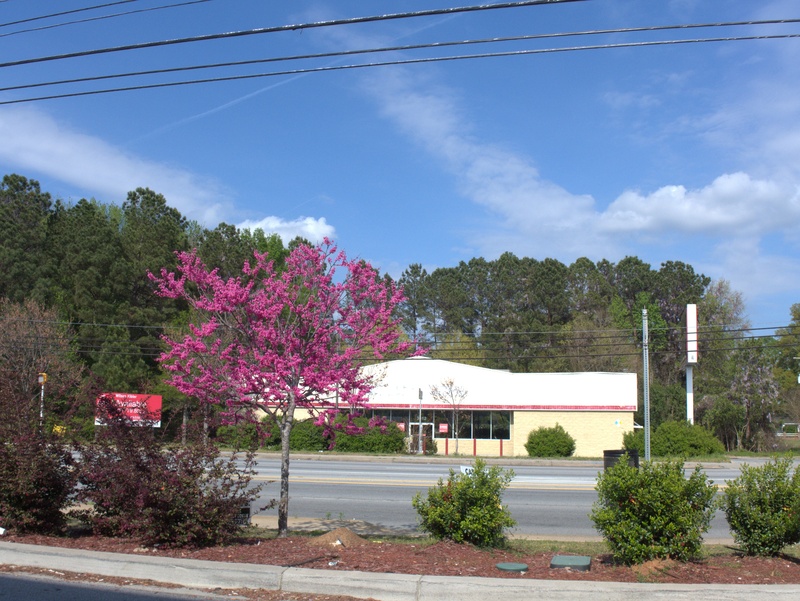 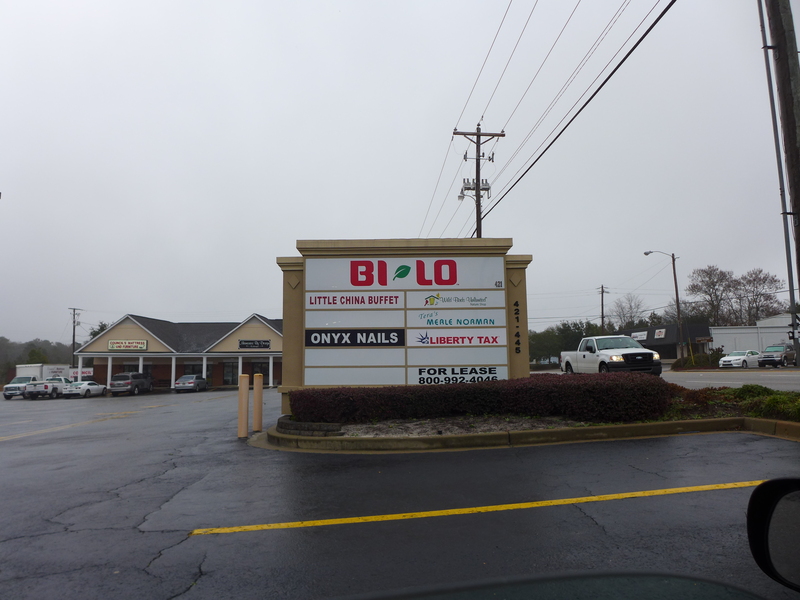 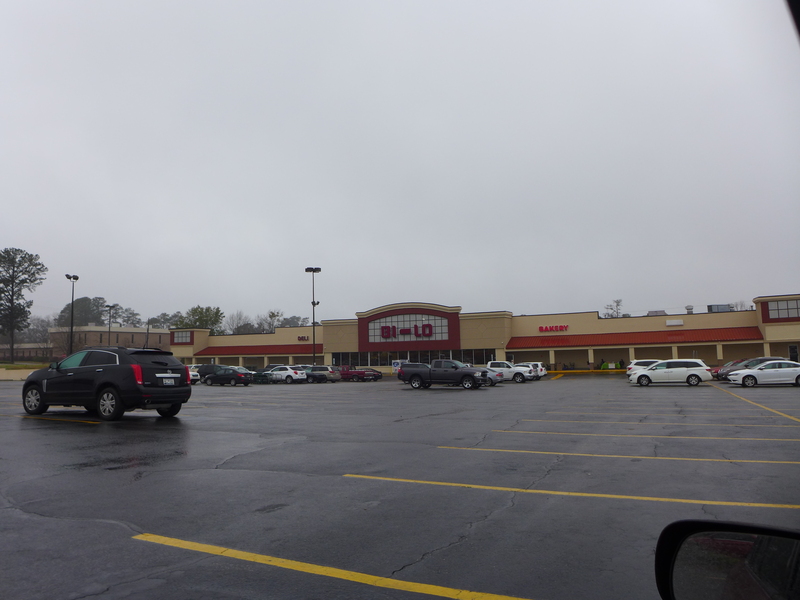 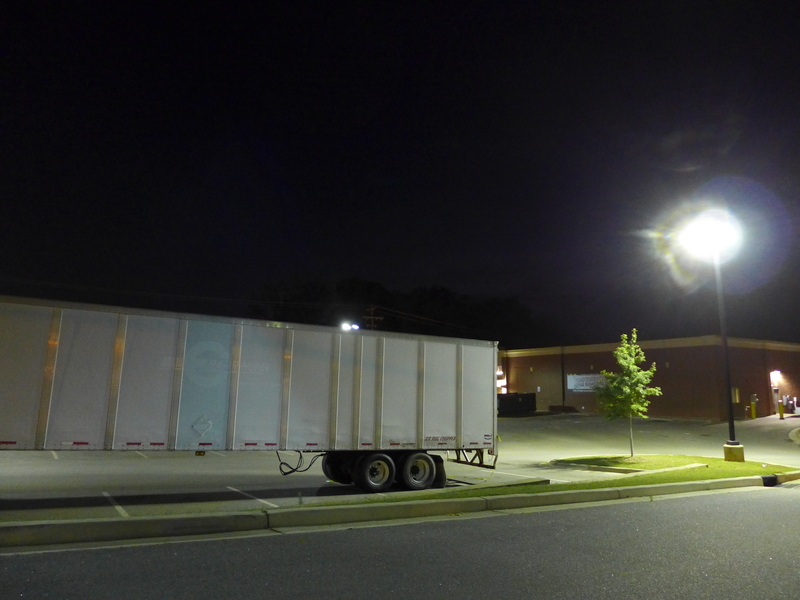 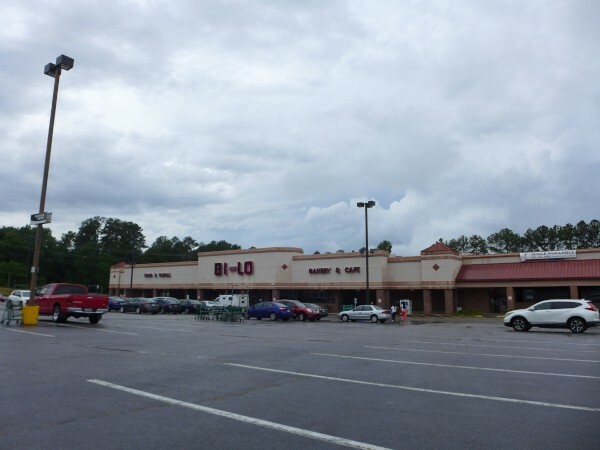 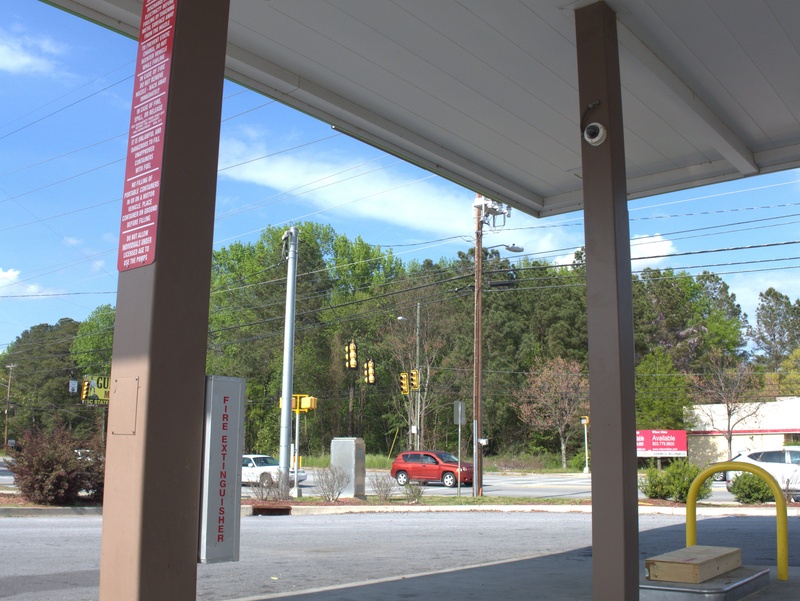 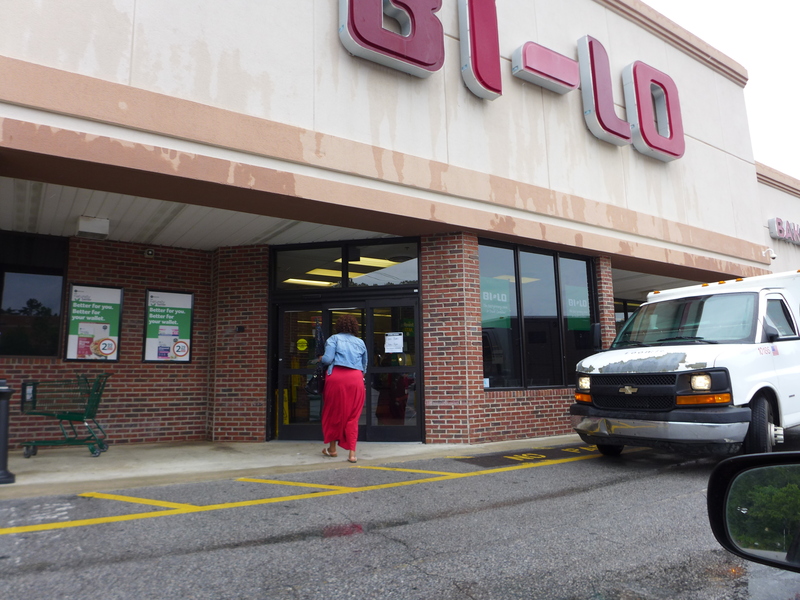 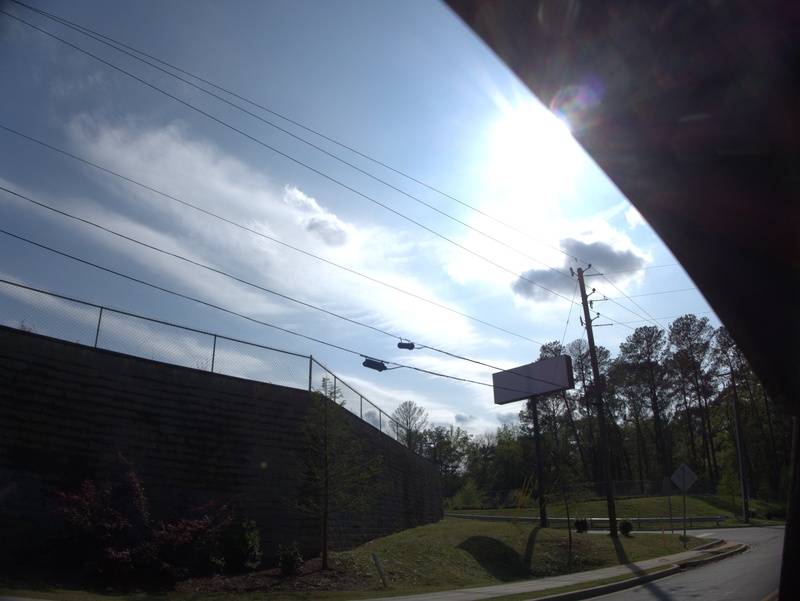 This Bi-Lo is on Emanuel Church Road in West Columbia in a spot where I am fairly sure I have never been before. 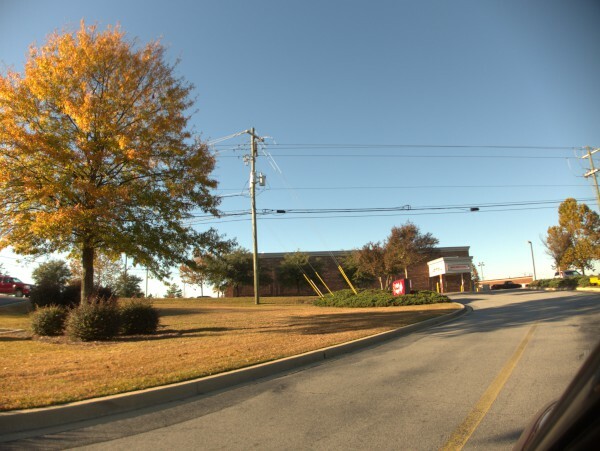 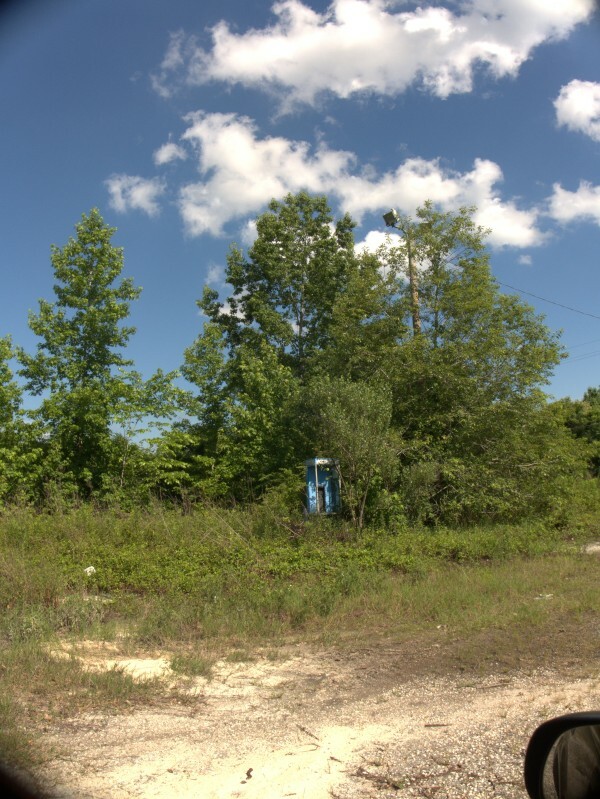 In fact, I drove out there last week, headed down that branch of Emanuel Chruch Road, decided that things were petering out and turned around and went the other way. This store is part of the latest round of Bi-Lo & Harveys closings, and presumably will be gone by the end of the month as these closeouts don't usually take too long. This one is kind of odd. 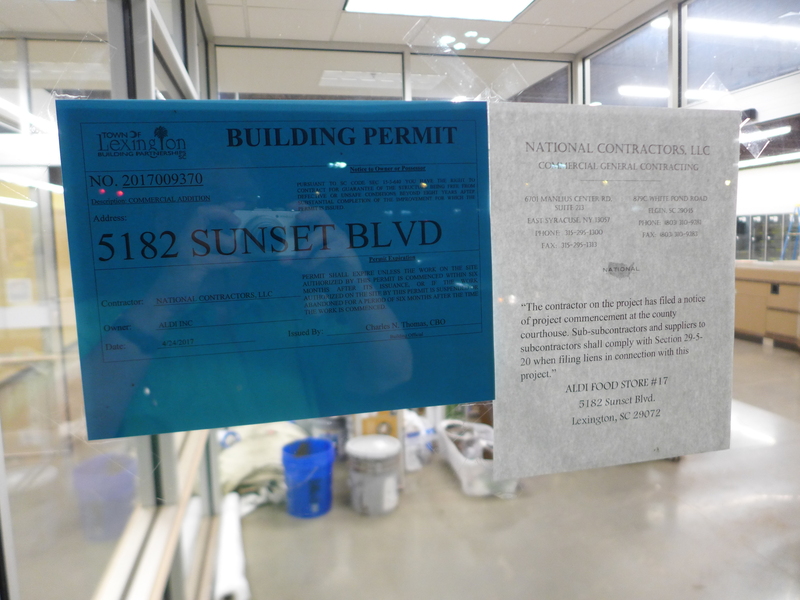 After what was apparently a somewhat prolonged build, the proposed Fresh Market on Sunset Boulevard in Lexingtion was boarded up, giving rise to several local media stories, like this one from The State, that struck a reassuring tone, indicating that the store was still expected to open this Spring (ie: now). 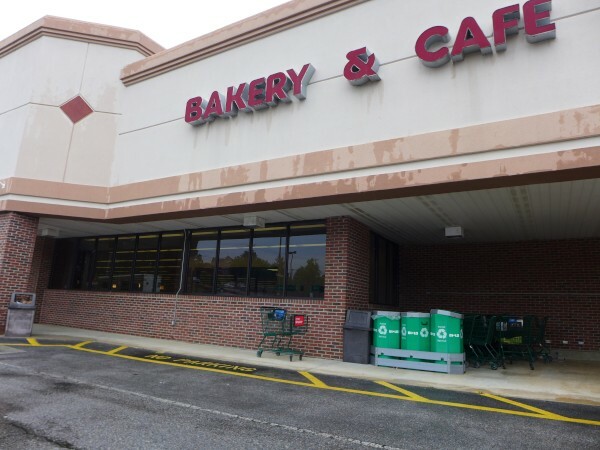 Conspicious, however, in the spin of those stories was a very tepid quote from Fresh Market corporate, which said essentially: No Comment. This strikes me as an extraordinary statement that has a blood-in-the-water feel to it. 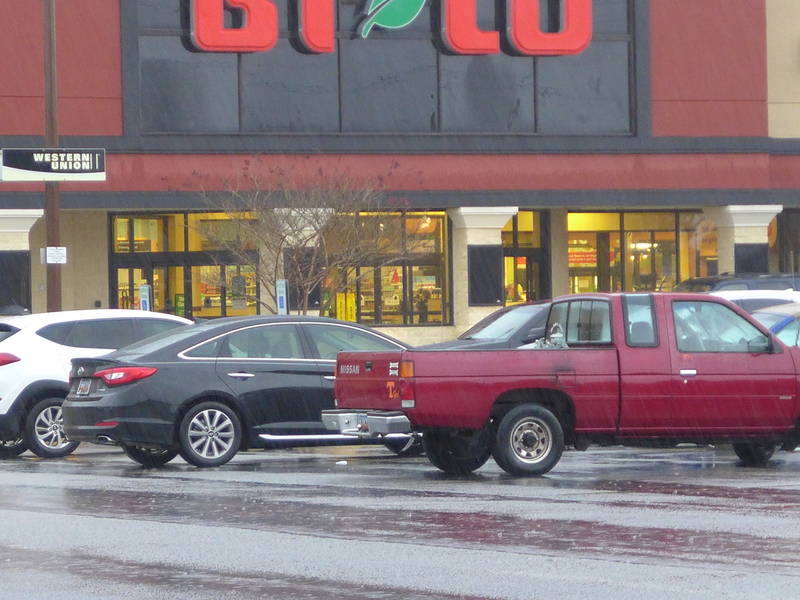 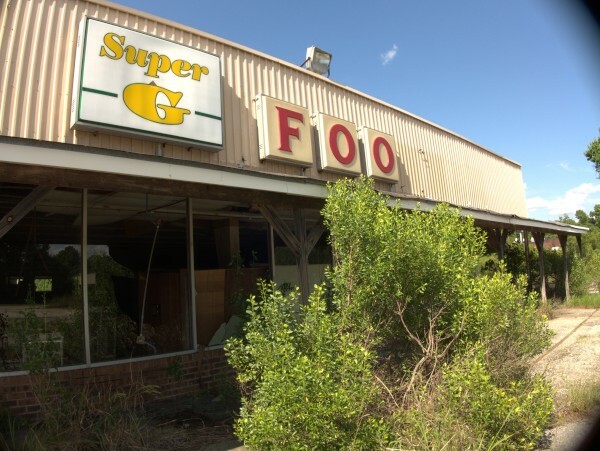 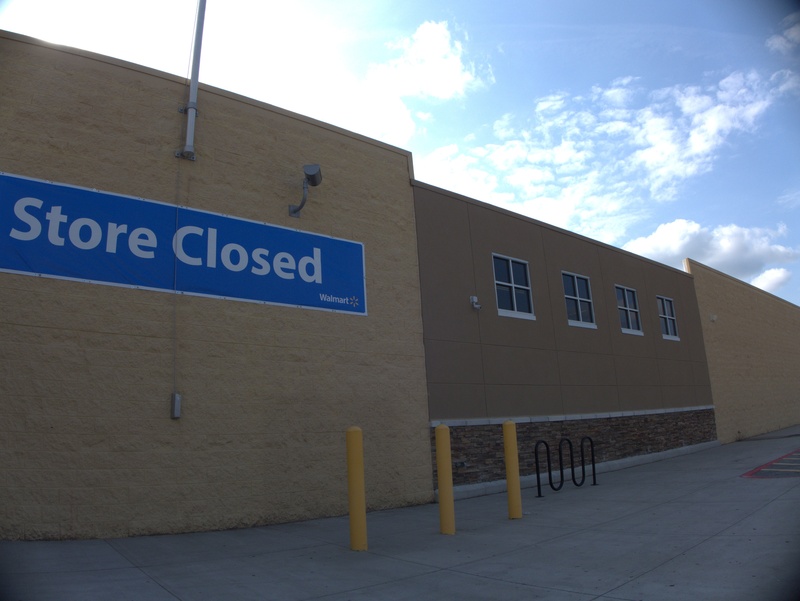 If the company had opened the stores it had been building and then put a hold on expansion, nobody would have said anything, but in these hard times for grocers, pausing (forever?) 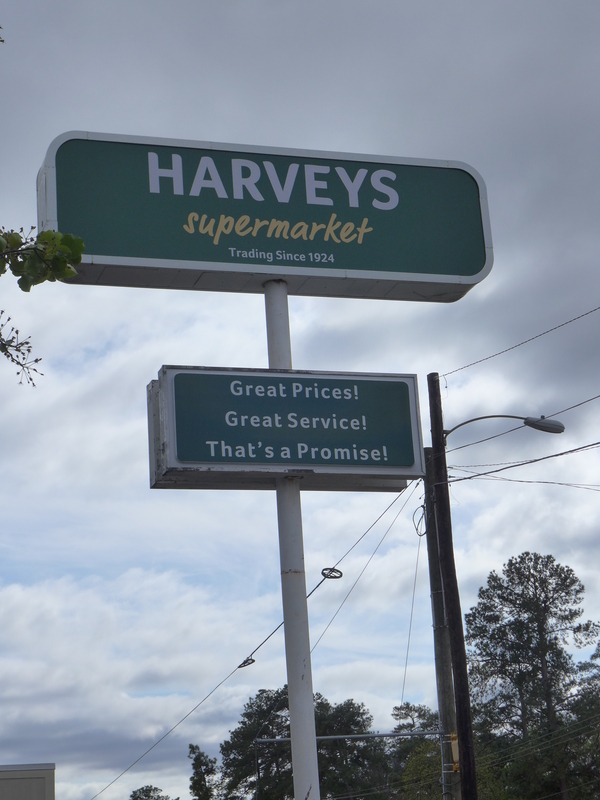 the opening of already (mostly) built locations sends a message quite apart from the bland words. 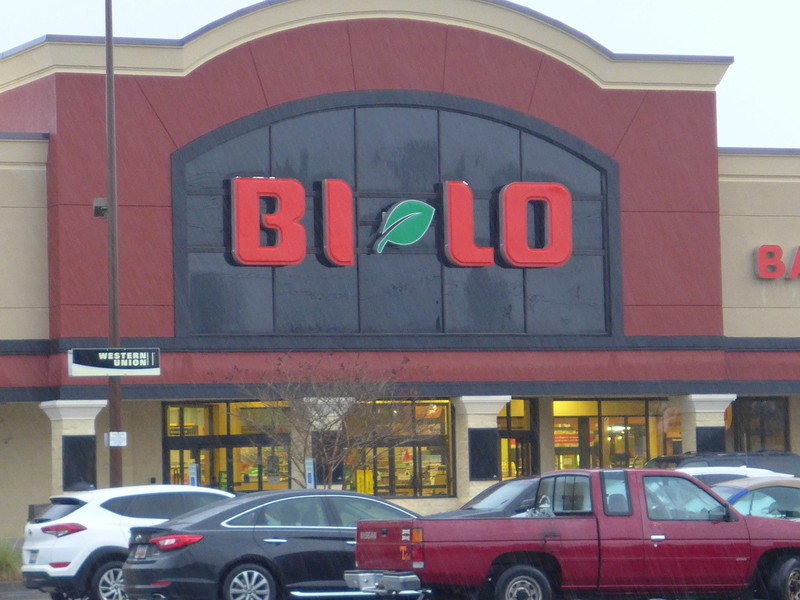 I hope I'm wrong as I quite like the Fresh Market, but it doesn't sound good. 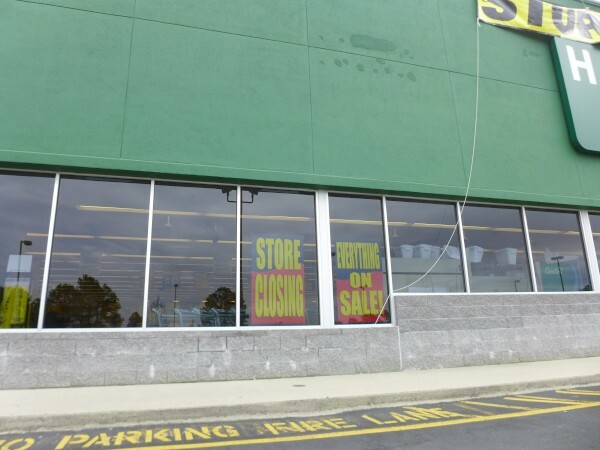 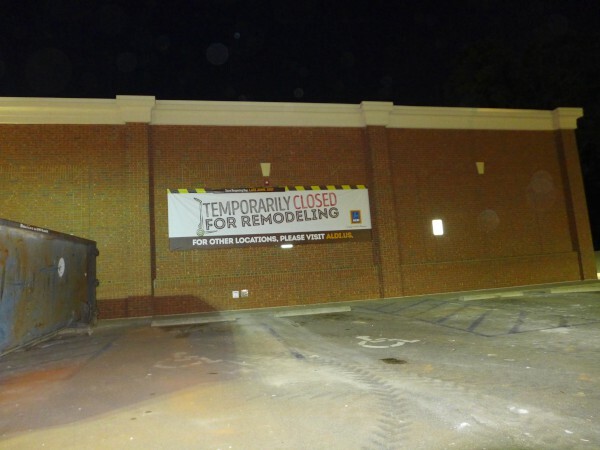 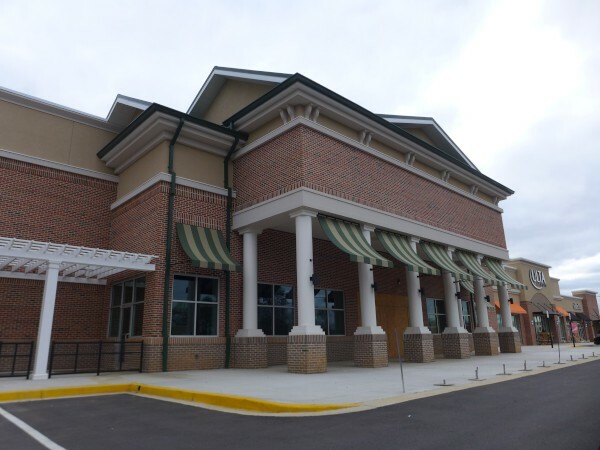 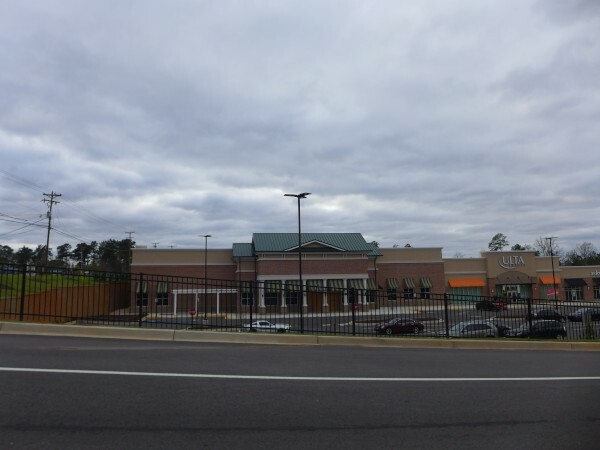 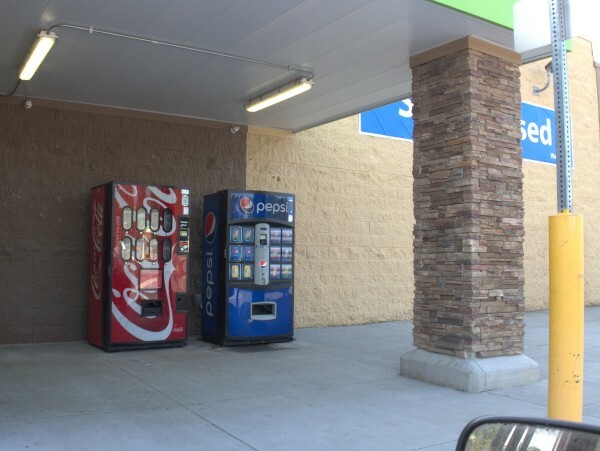 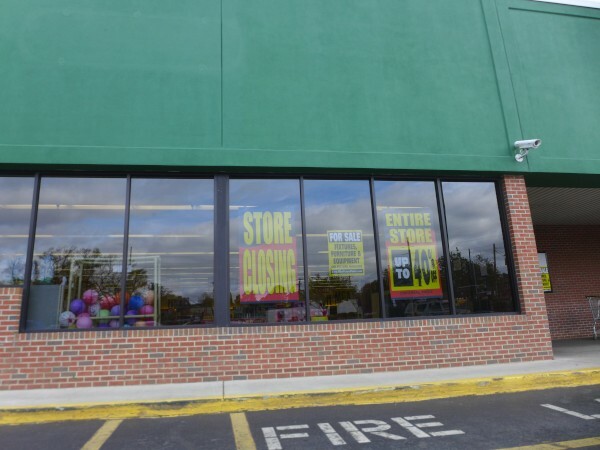 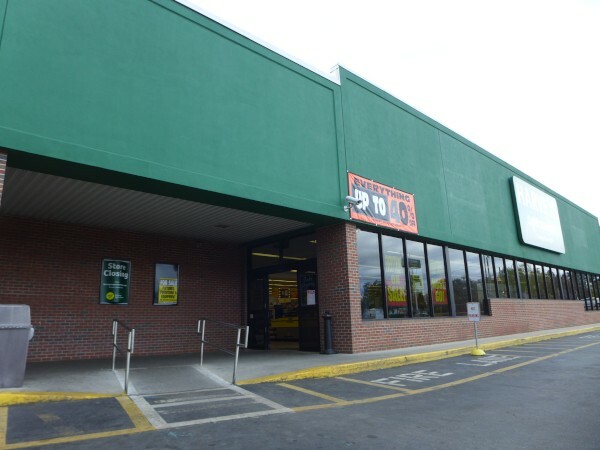 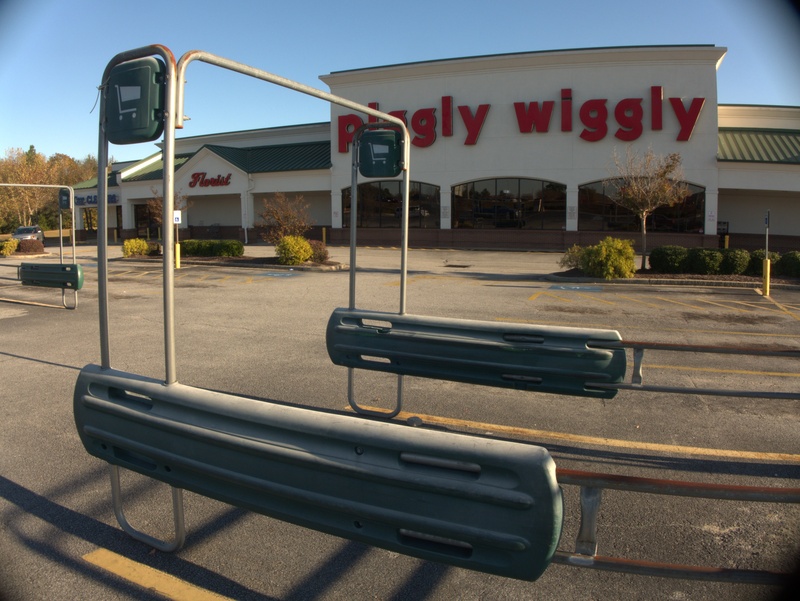 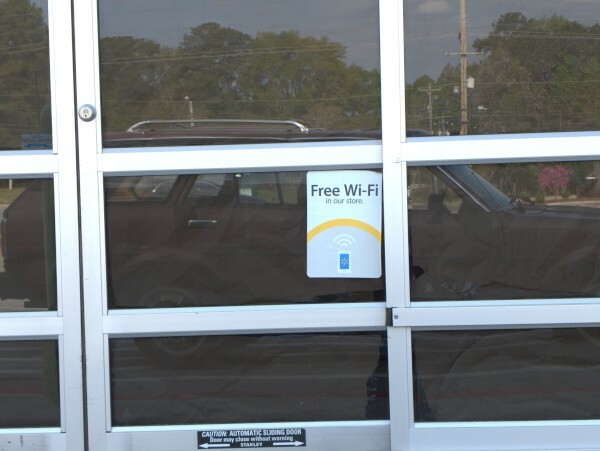 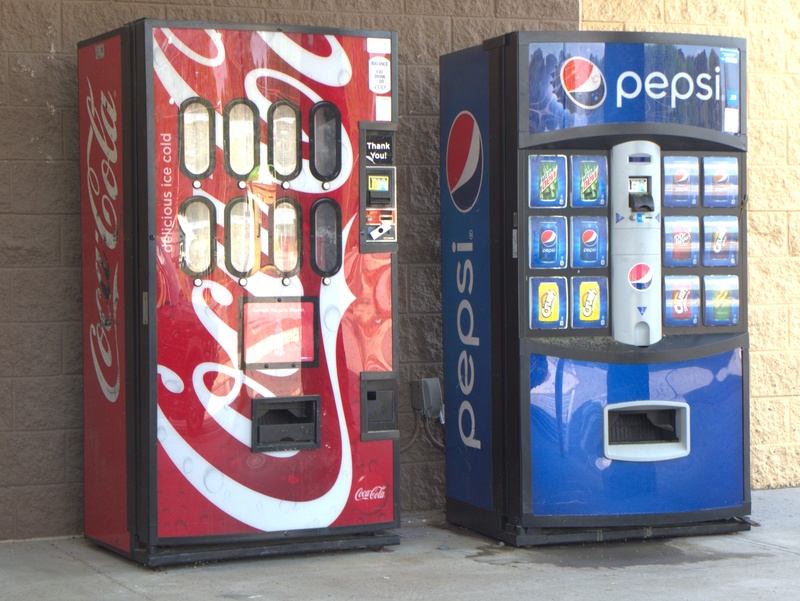 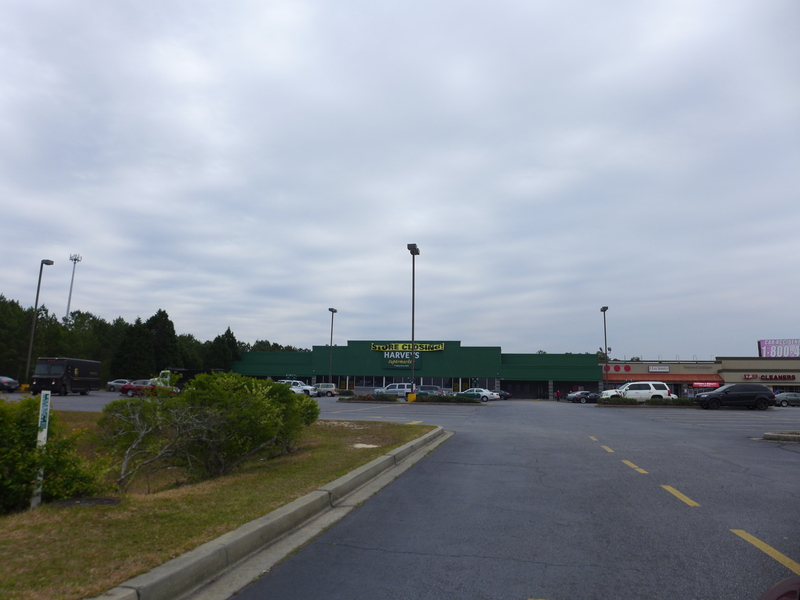 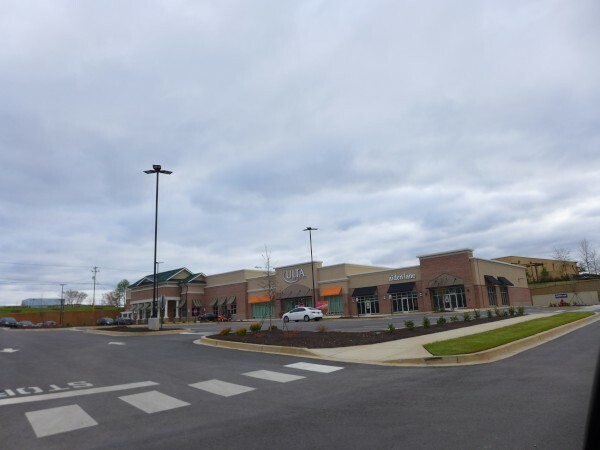 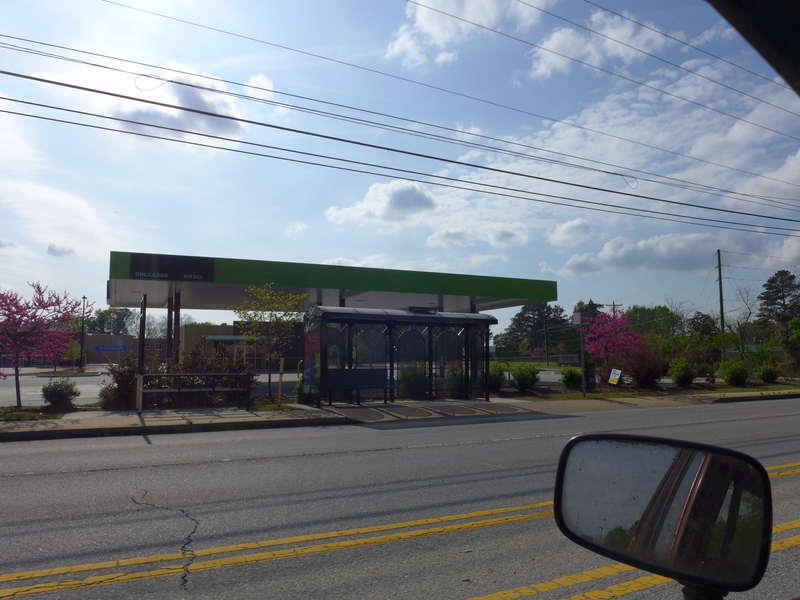 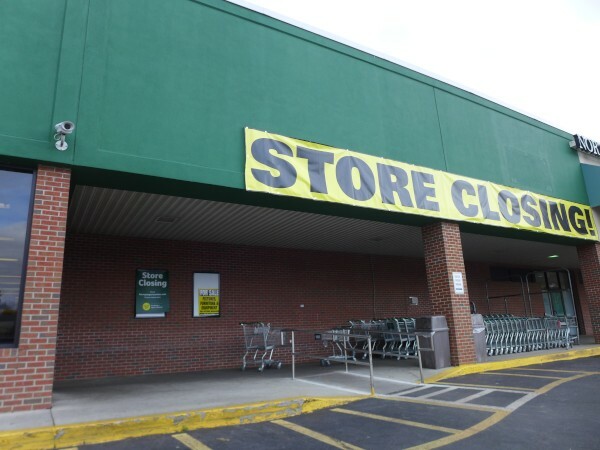 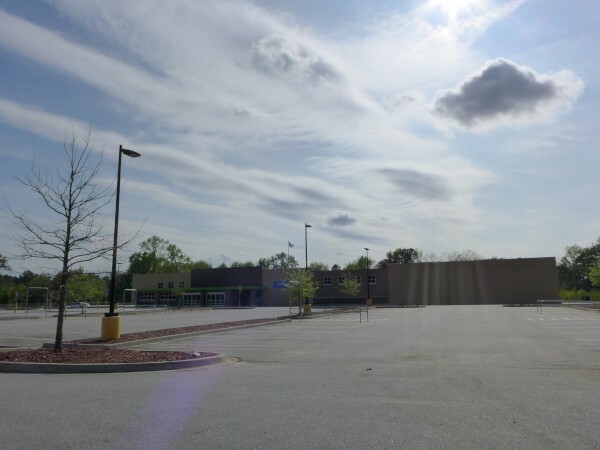 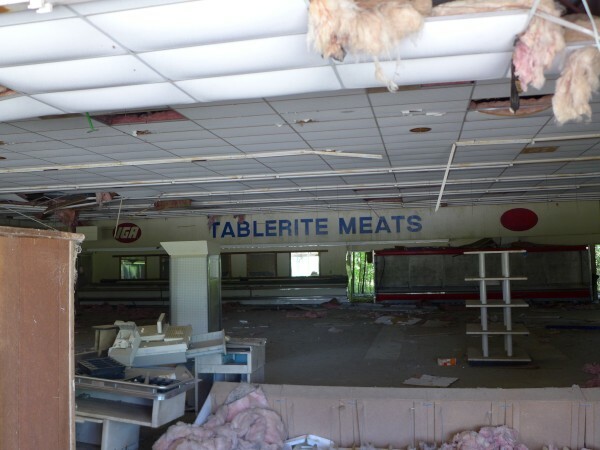 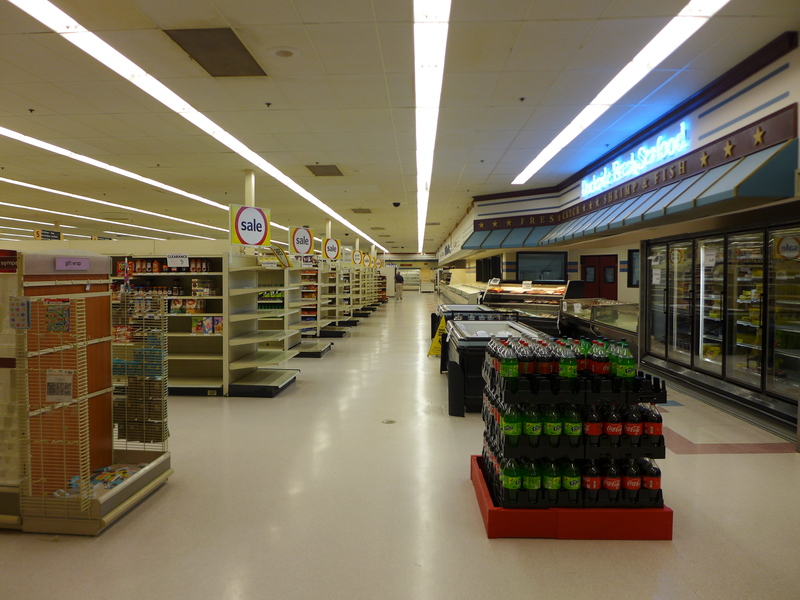 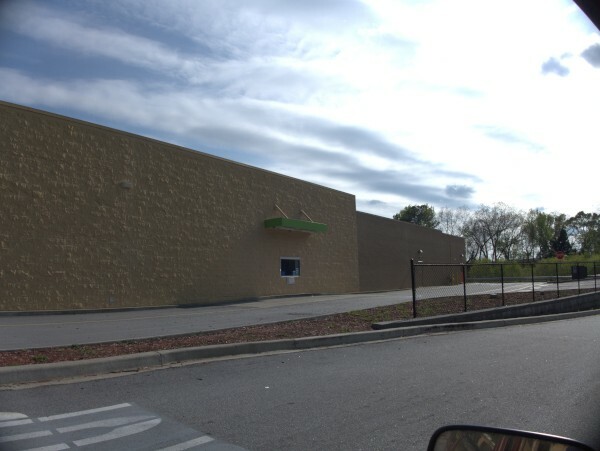 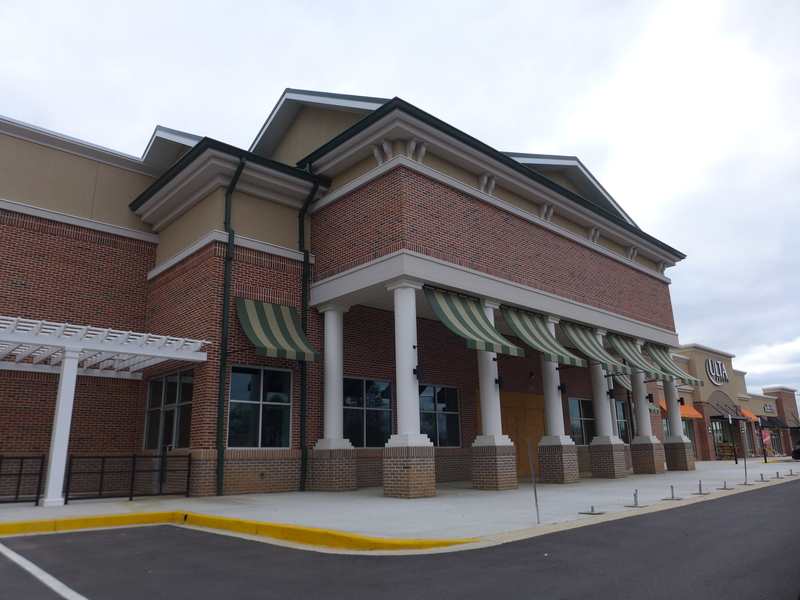 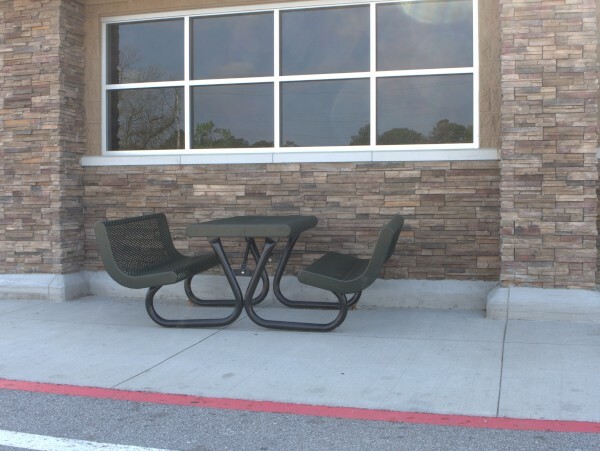 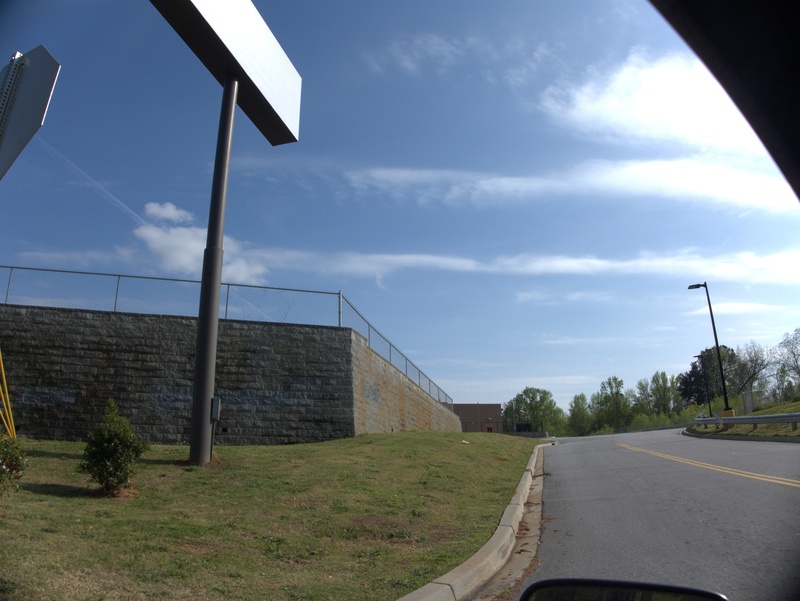 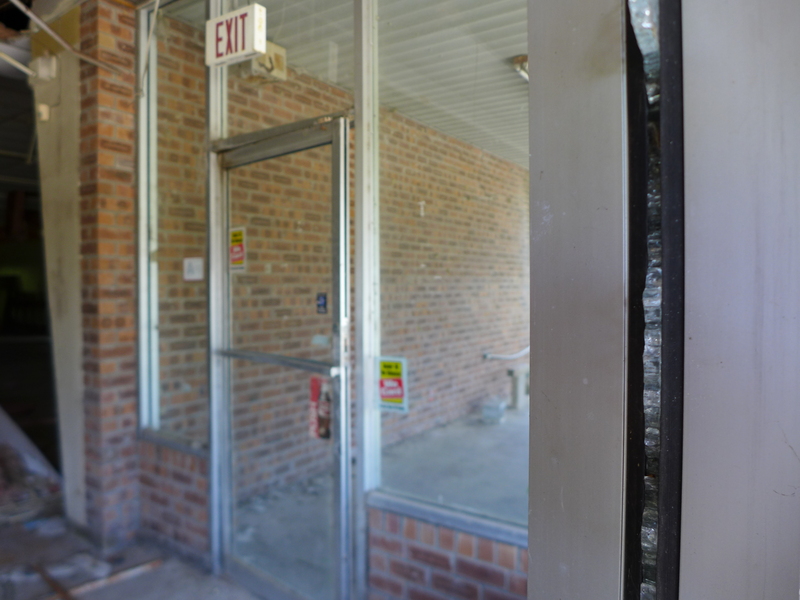 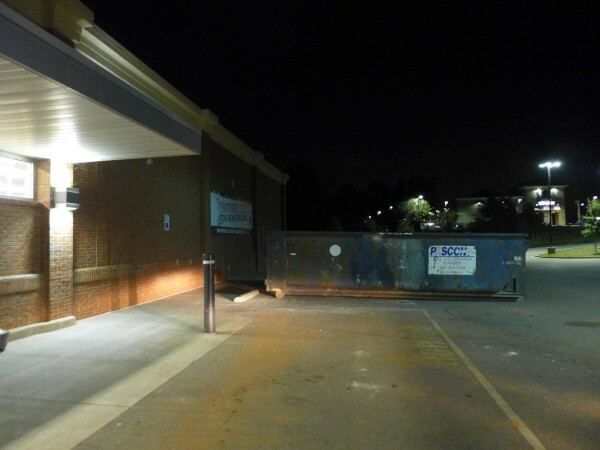 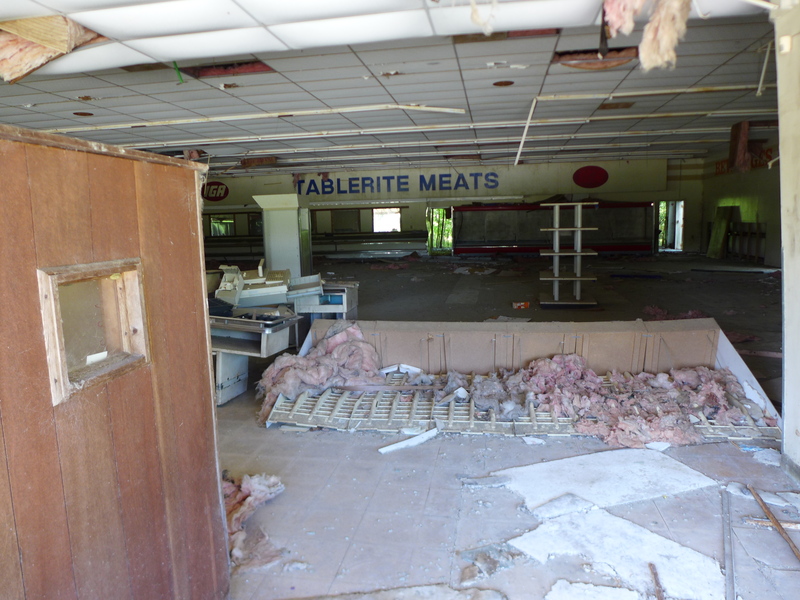 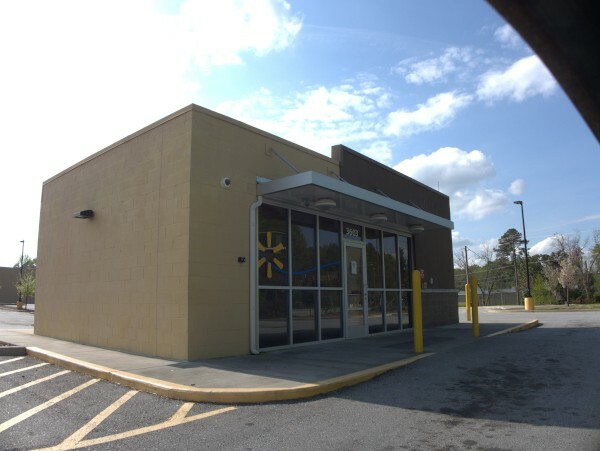 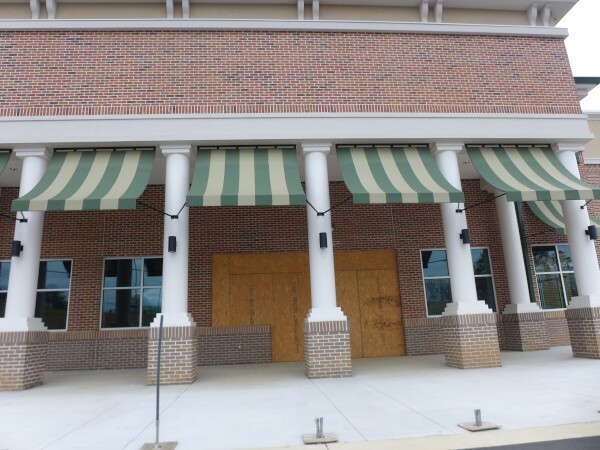 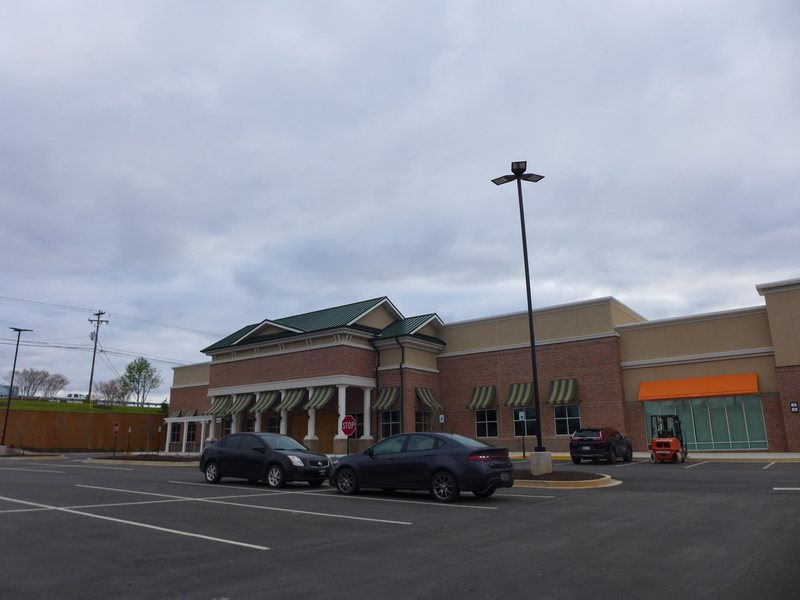 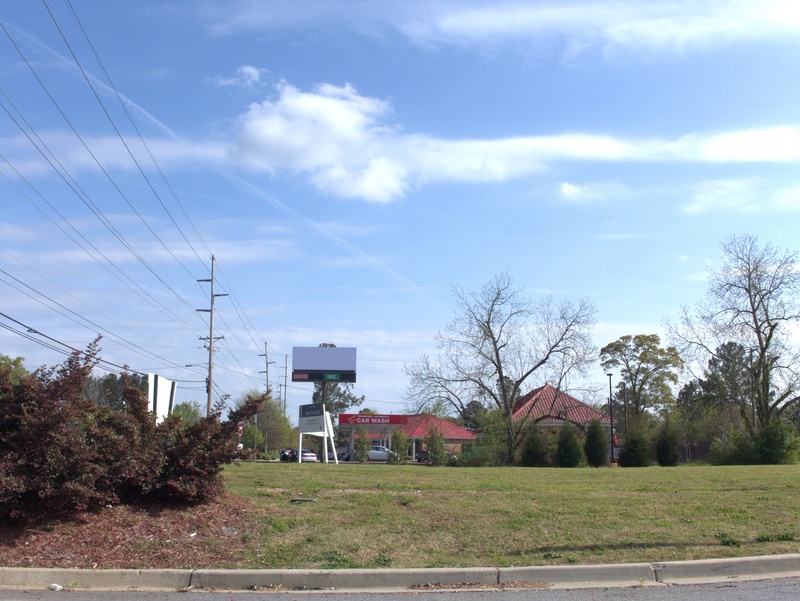 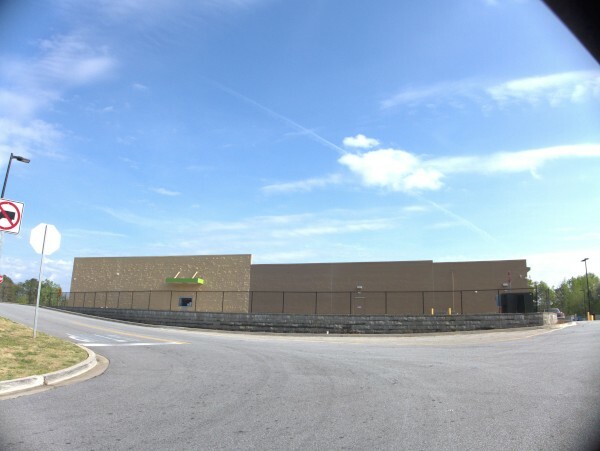 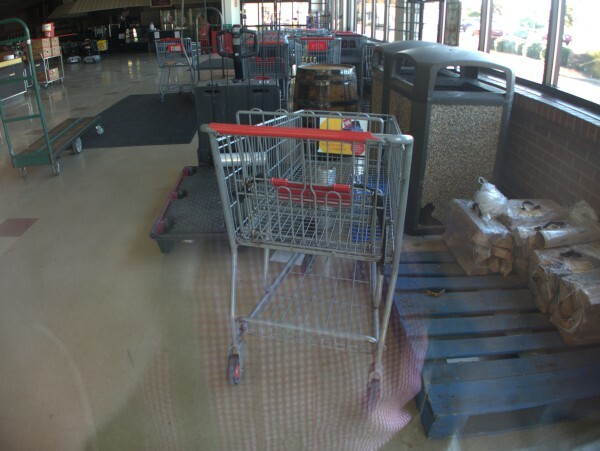 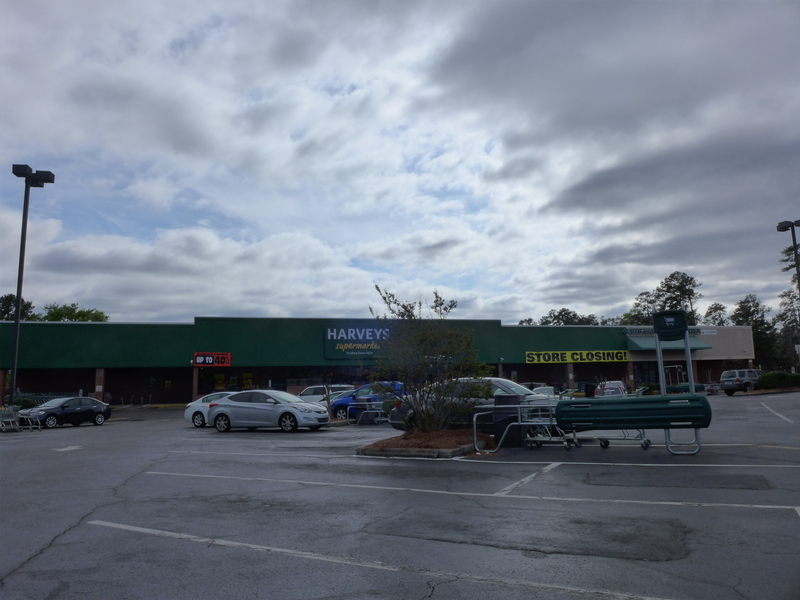 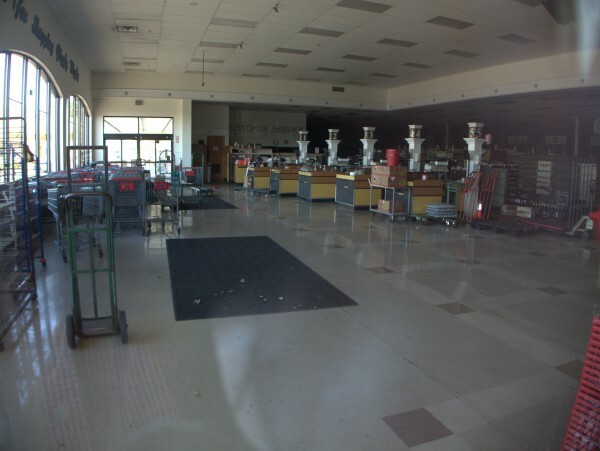 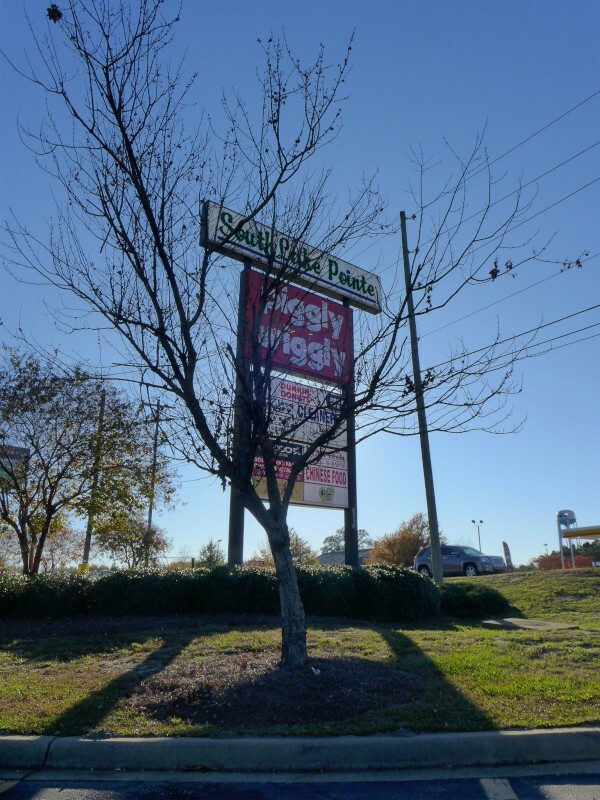 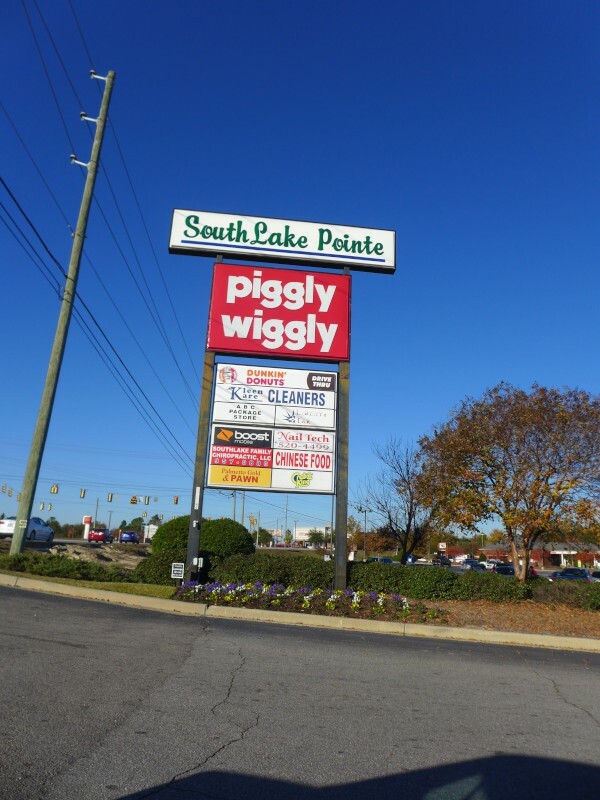 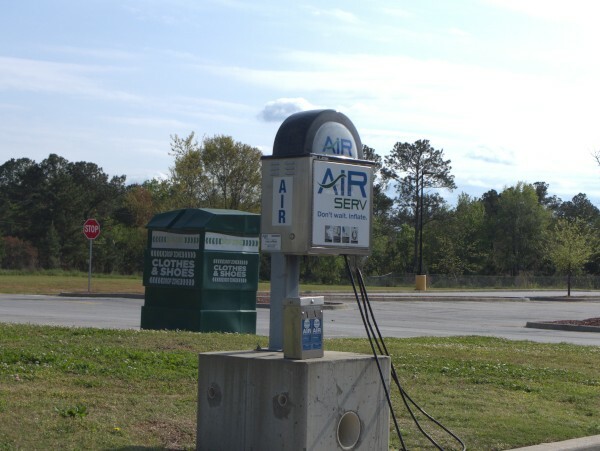 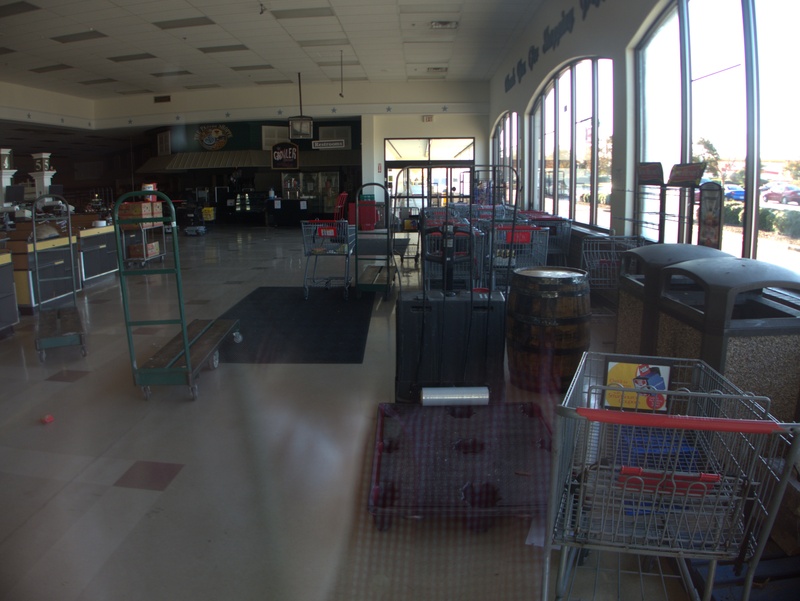 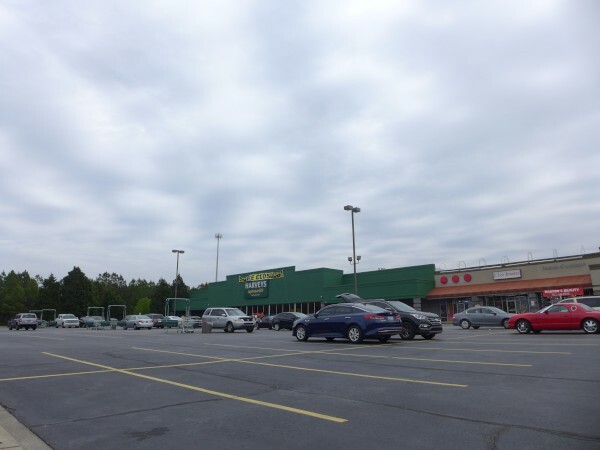 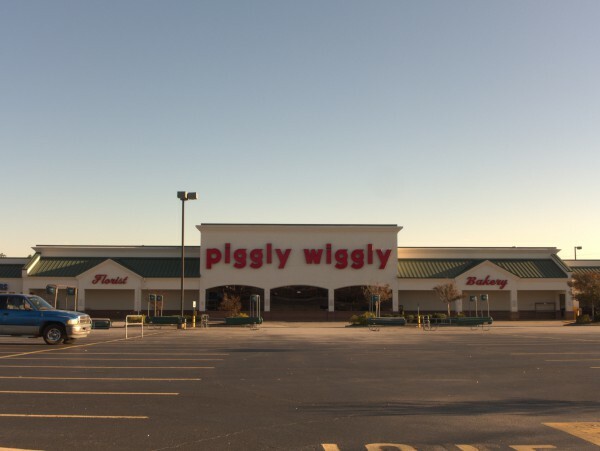 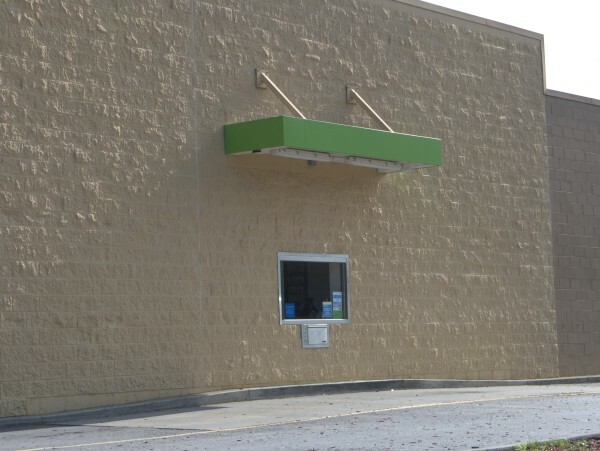 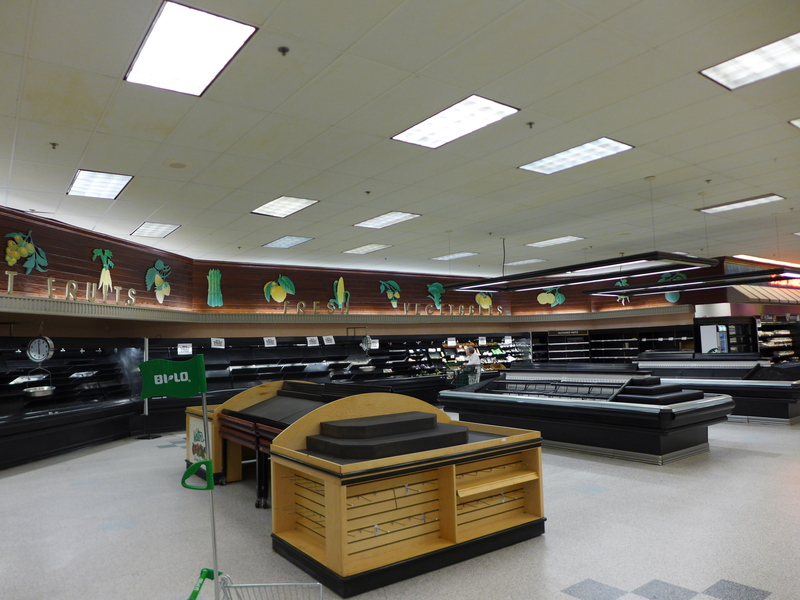 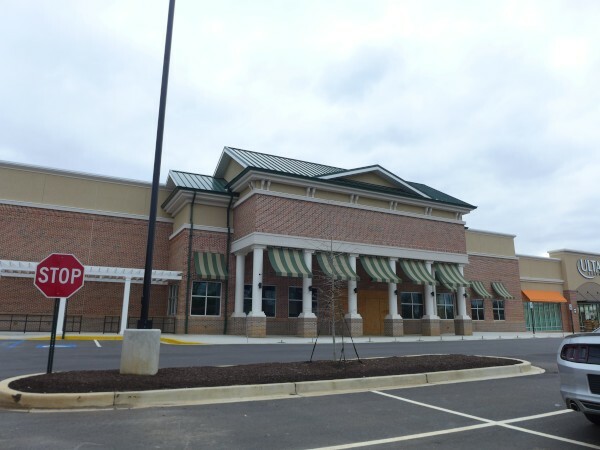 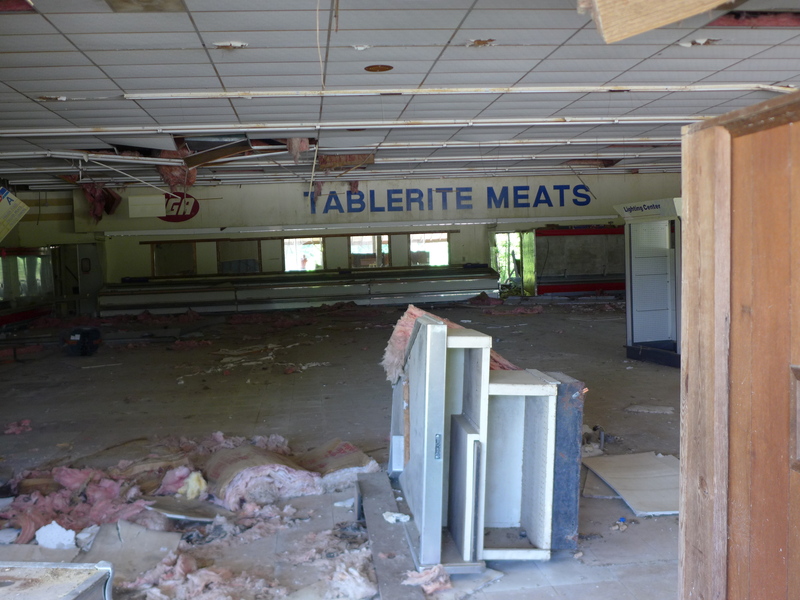 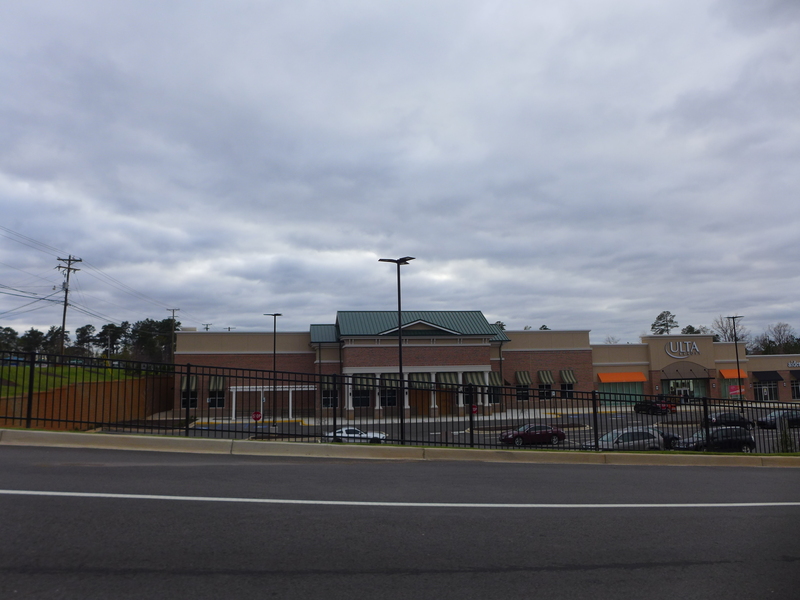 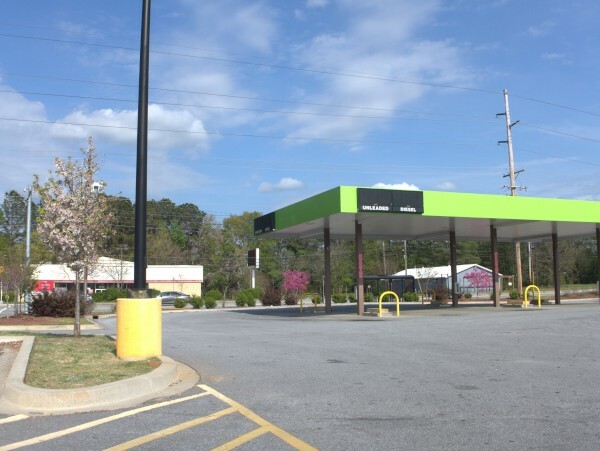 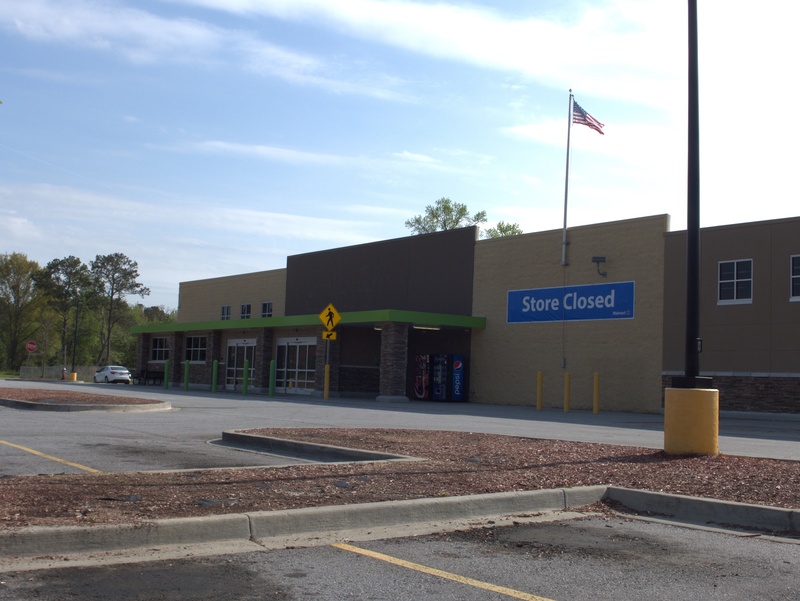 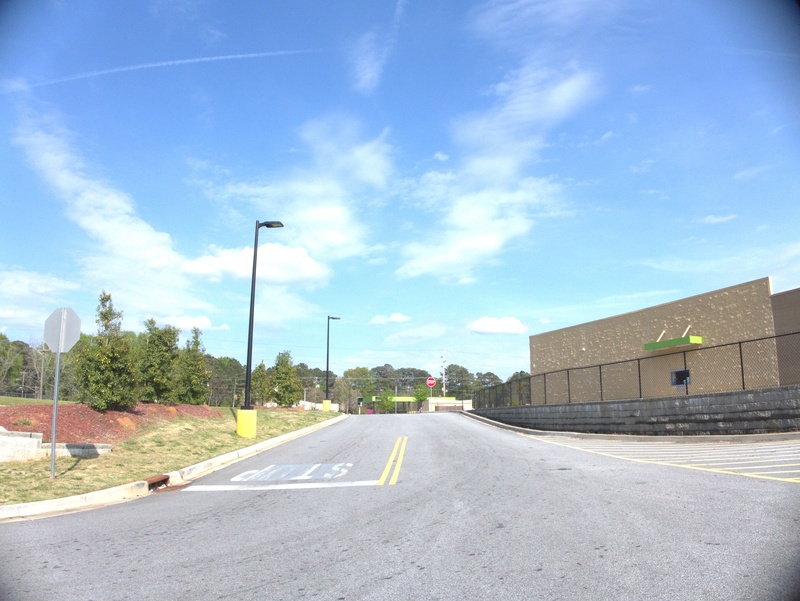 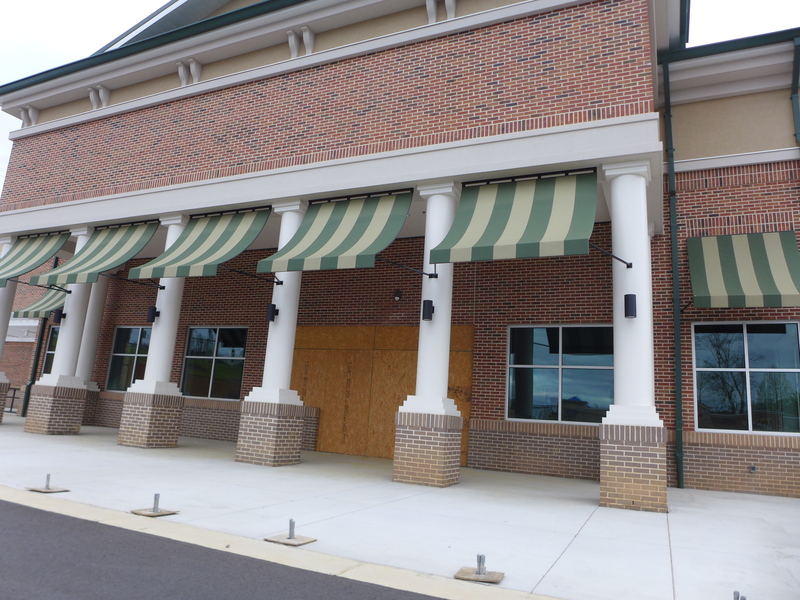 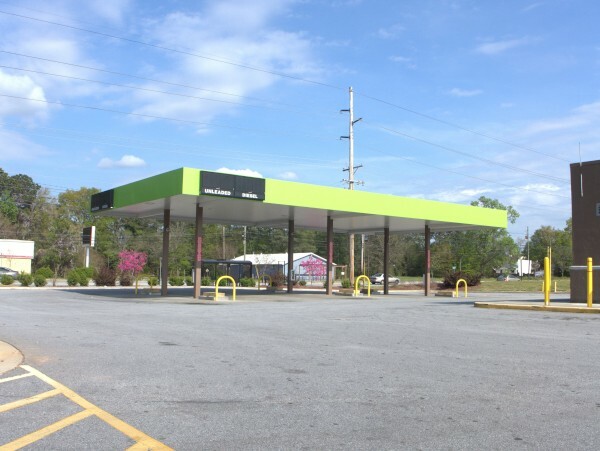 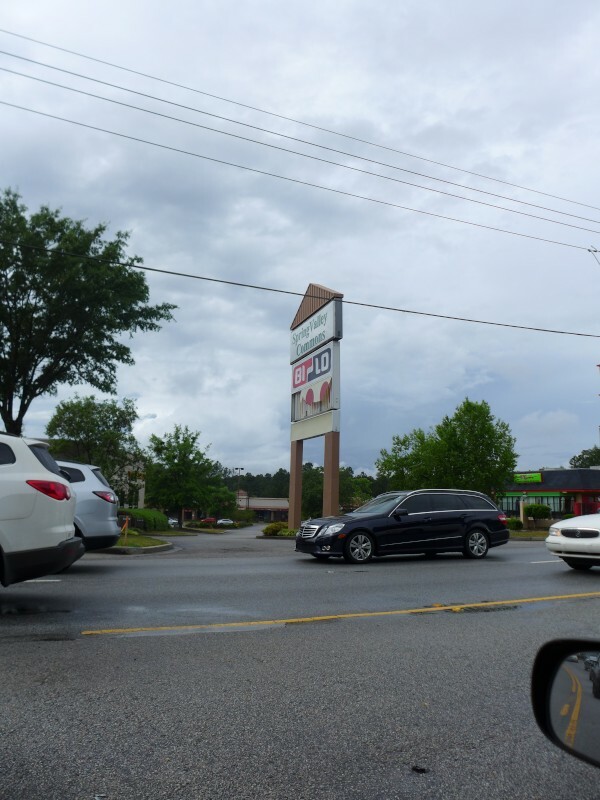 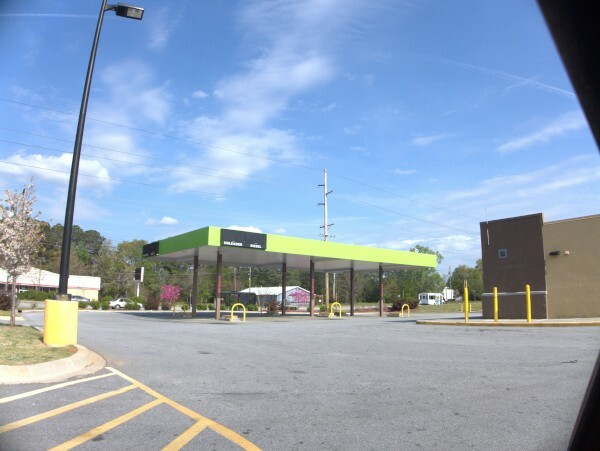 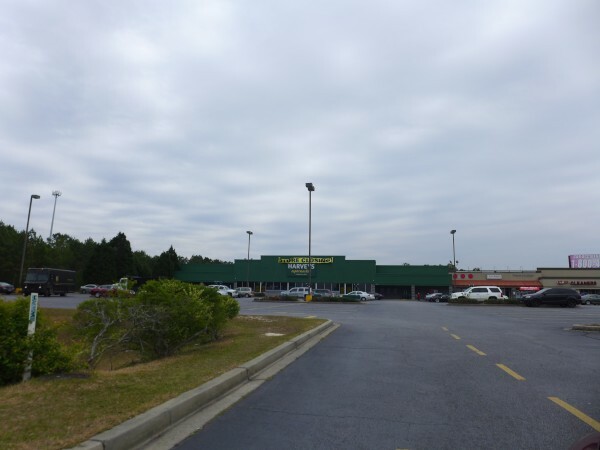 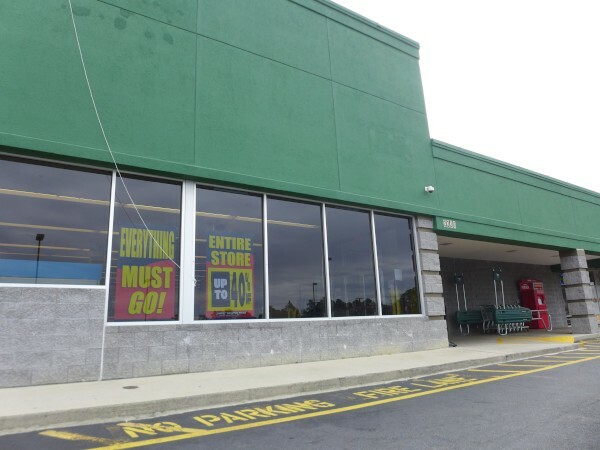 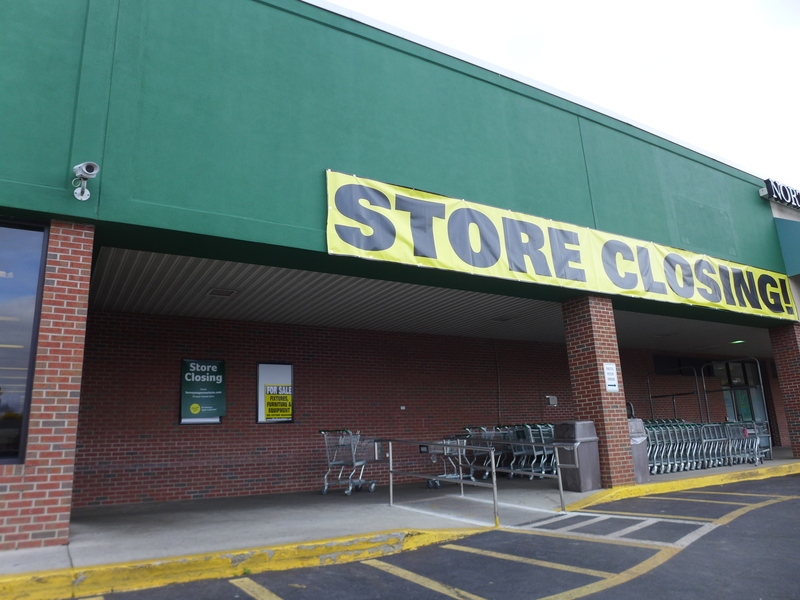 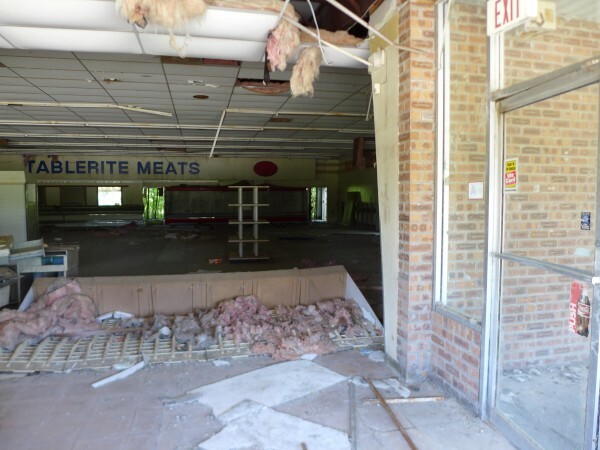 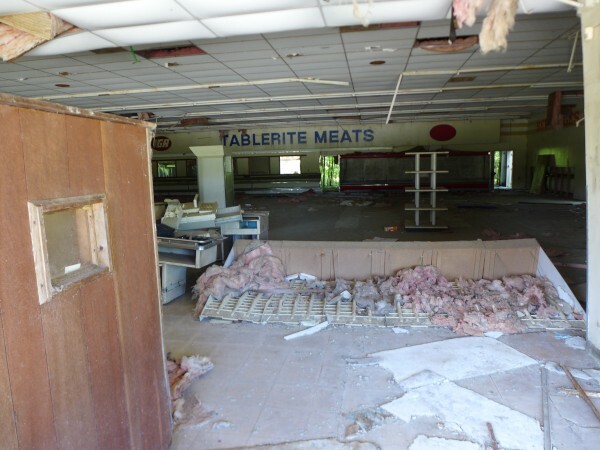 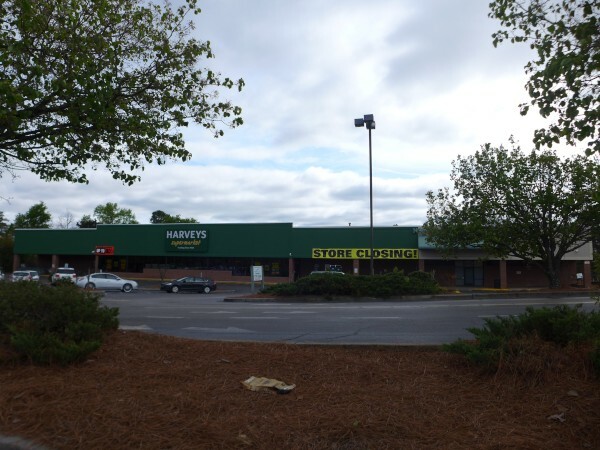 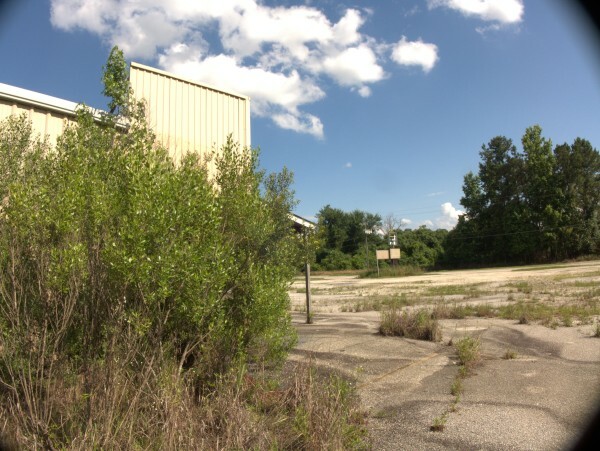 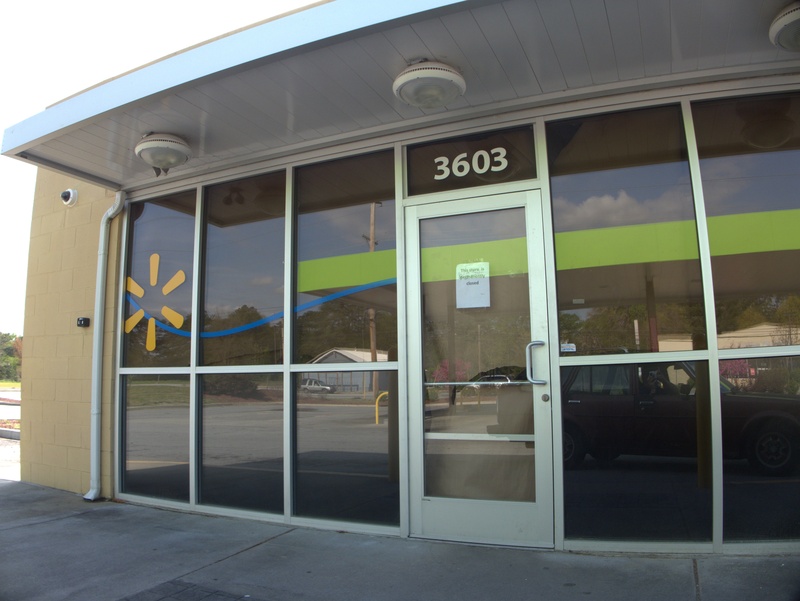 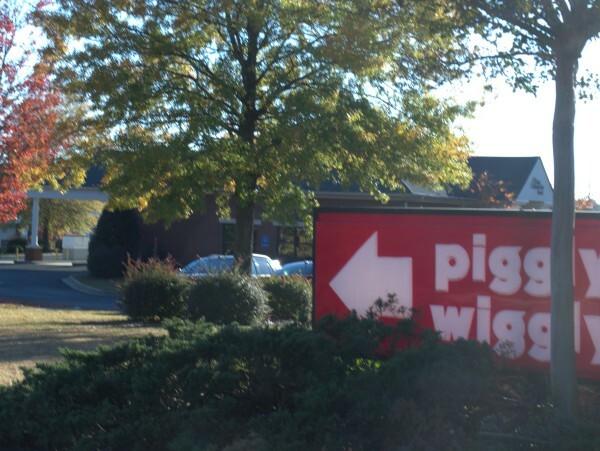 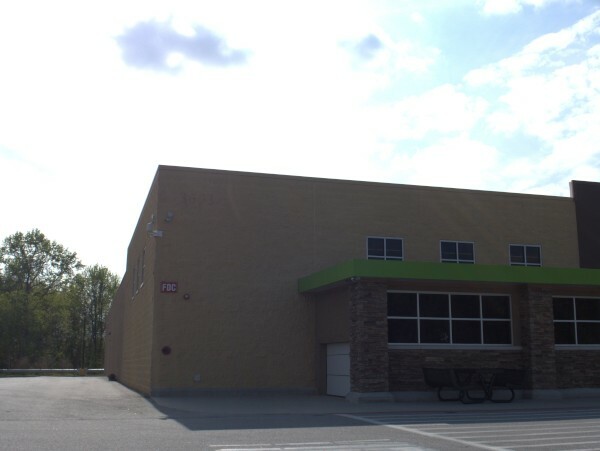 UPDATE 13 April 2019: The Free Times reports that Fresh Market has abandoned the site and that instead a Publix Greenwise Market will be coming instead. 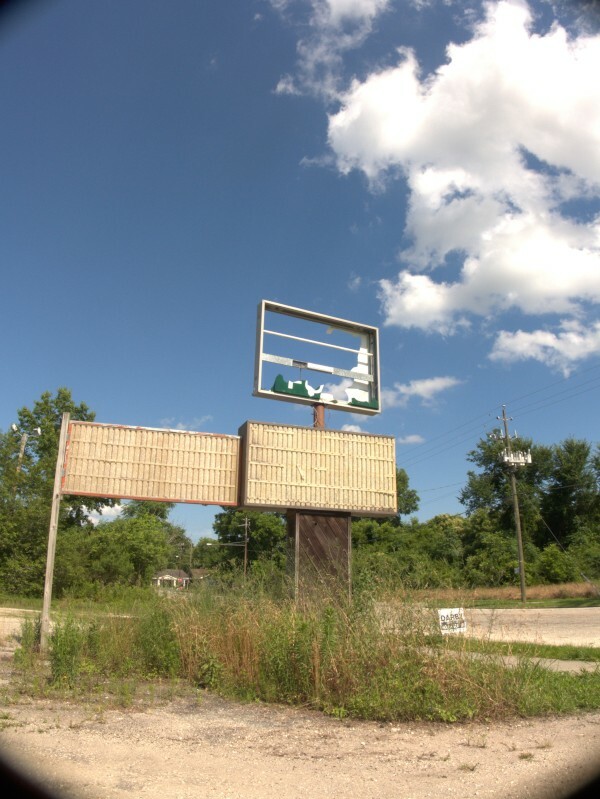 I've also changed the post title status to Cancelled and added a map icon. 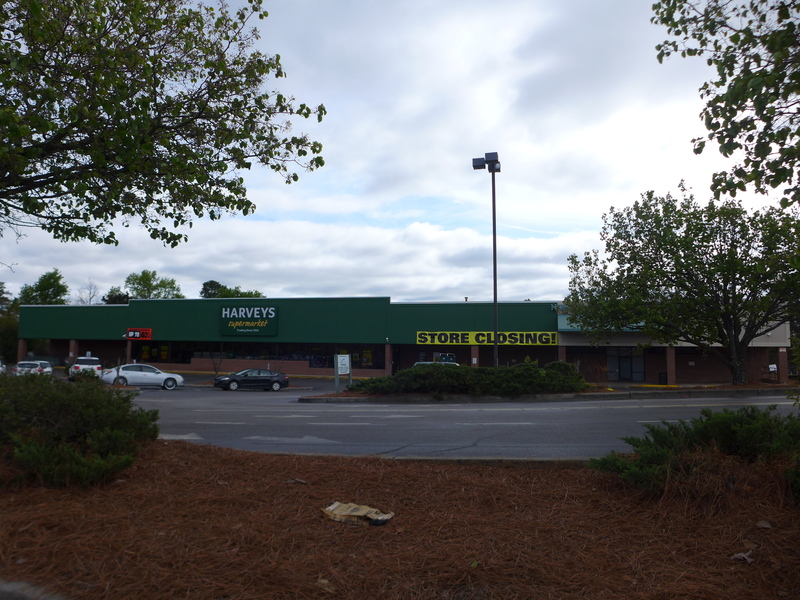 Here's another Harveys, this one on Decker. 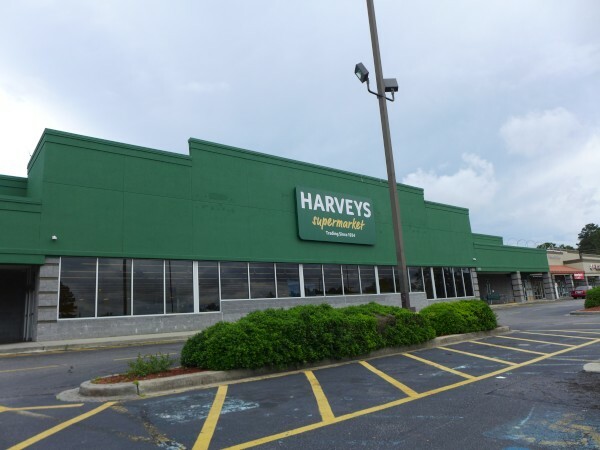 As with all the other Harveys, this one used to be a Bi-Lo, and I did a closing for that here. 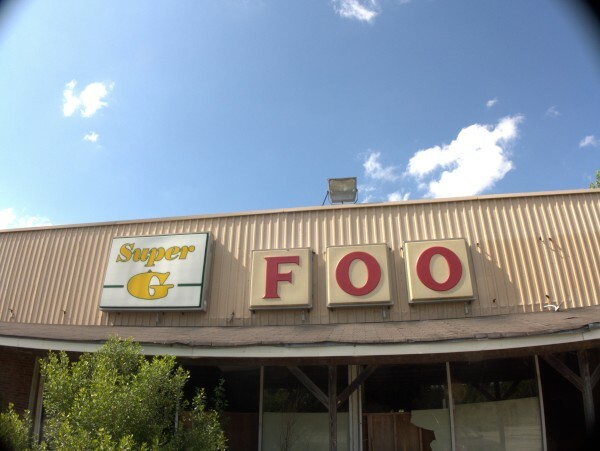 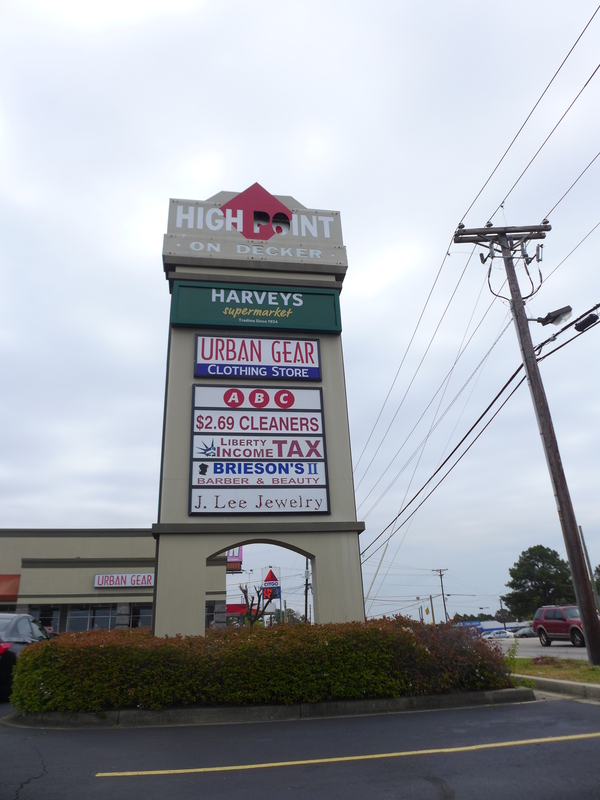 The strip mall anchored by this storefront is High Point On Decker, and it is about at the top of the hill. 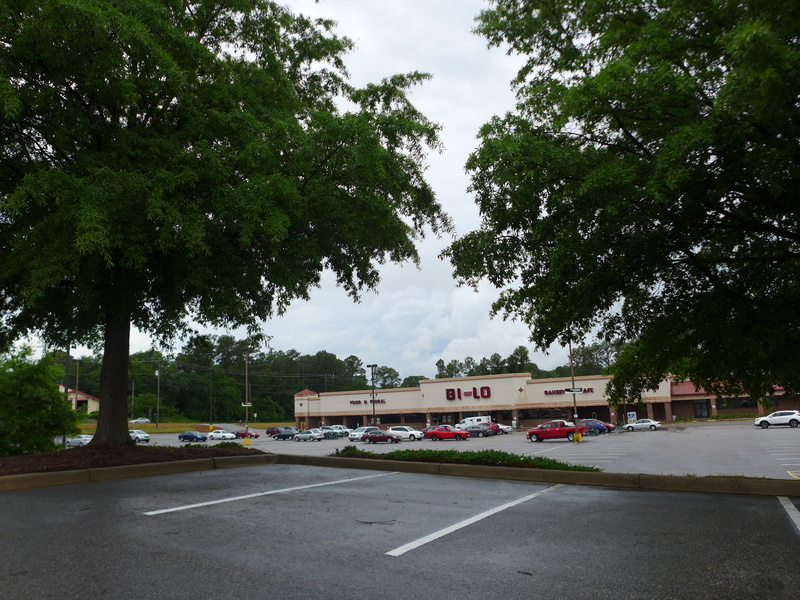 Just down the hill from here is another strip mall with both a Food Lion and a Rite Aid, so I'm not sure another grocer will want to locate here. 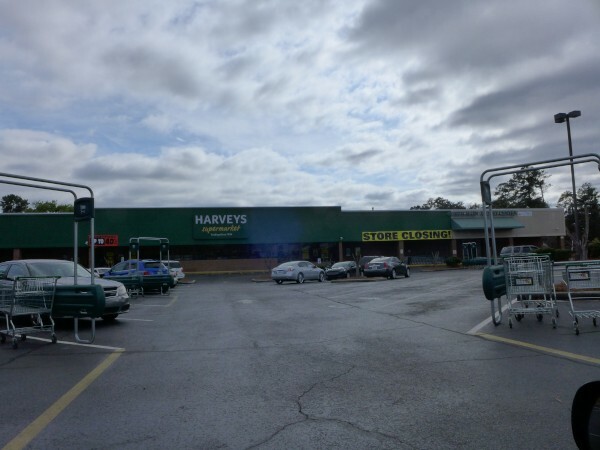 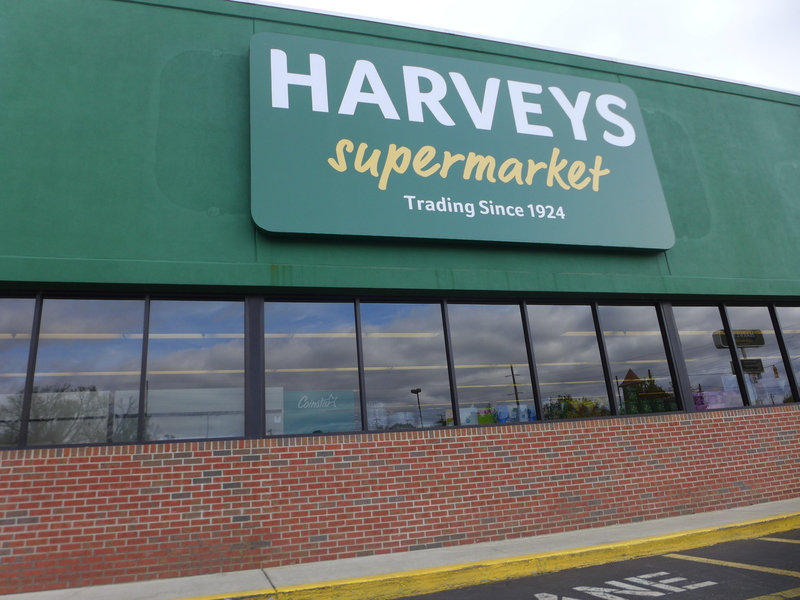 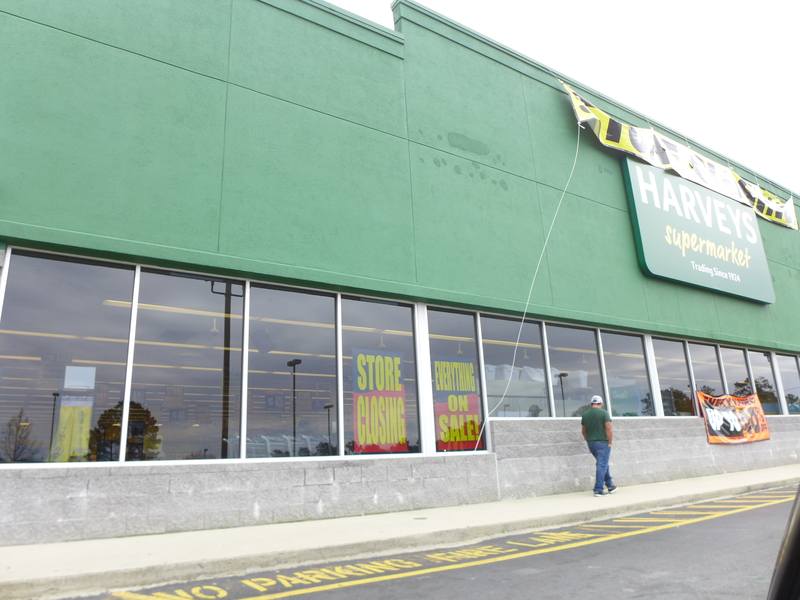 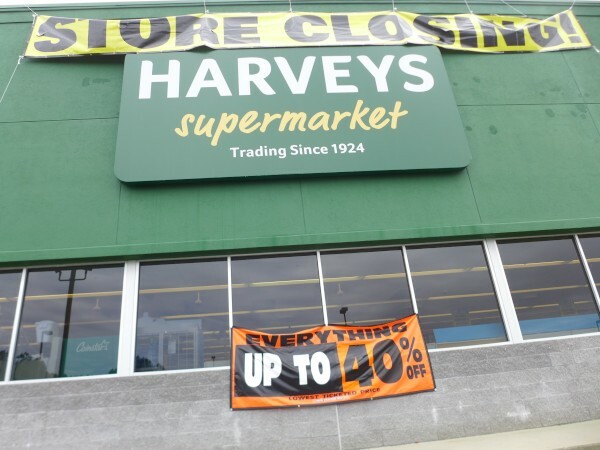 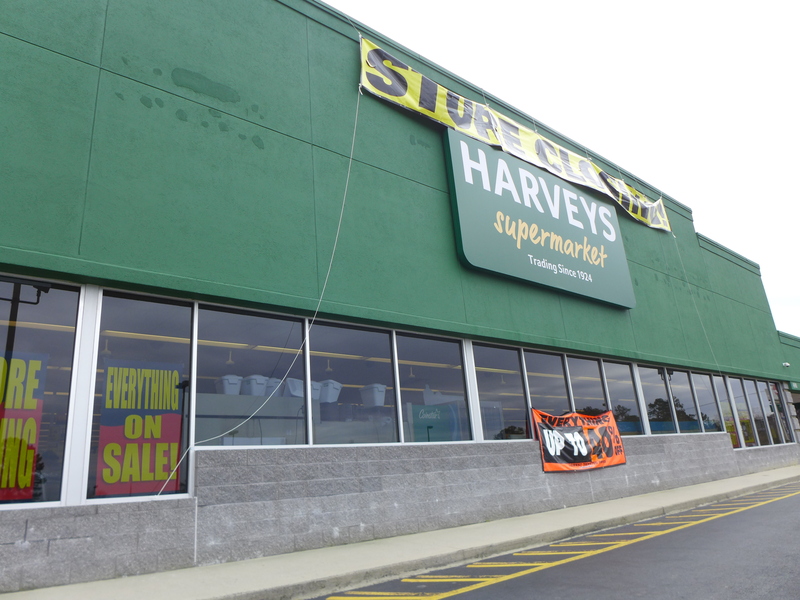 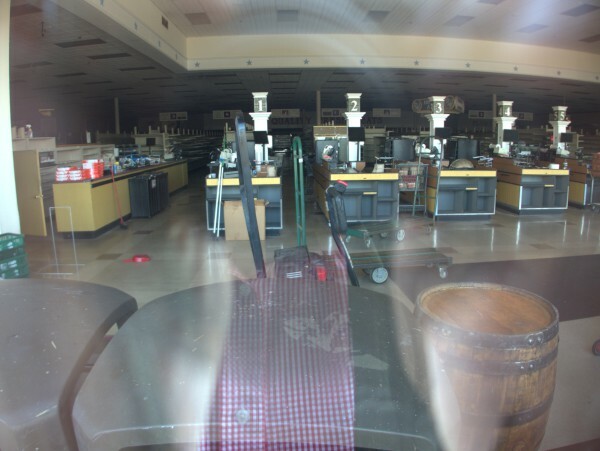 As mentioned in Have Your Say, all Columbia area Harveys supermarkets are closing. 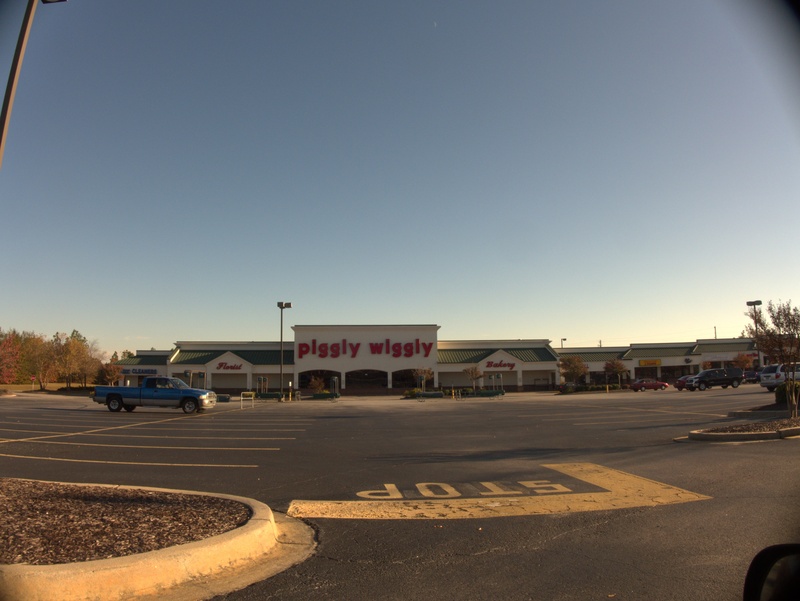 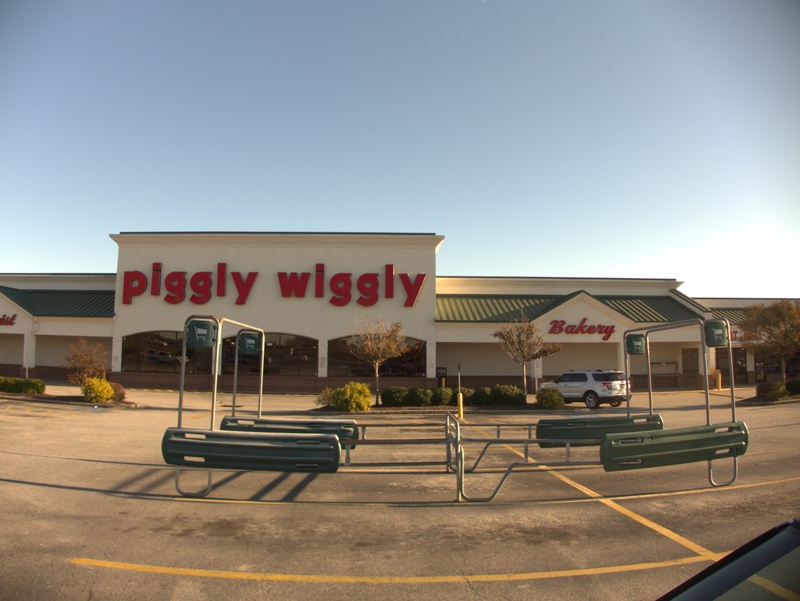 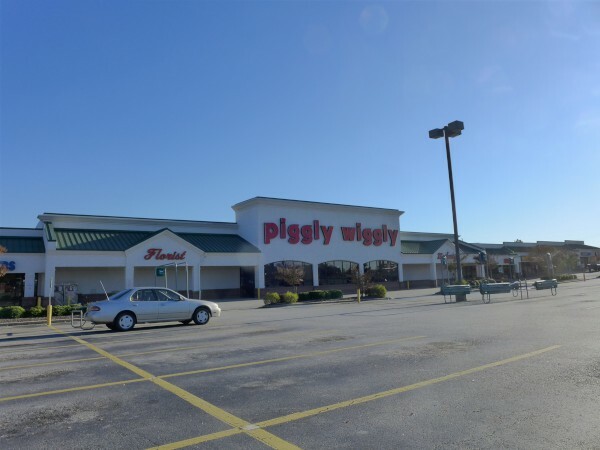 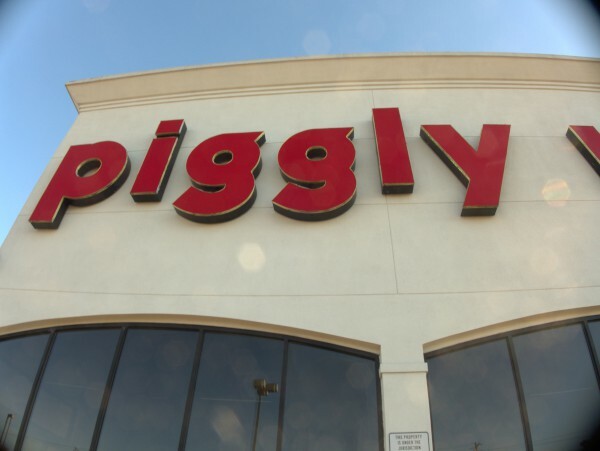 You can tell how dire the trouble the parent chain is in by the fact that they spent a lot of money rebranding these stores from Bi-Lo to Harveys less than two years ago. 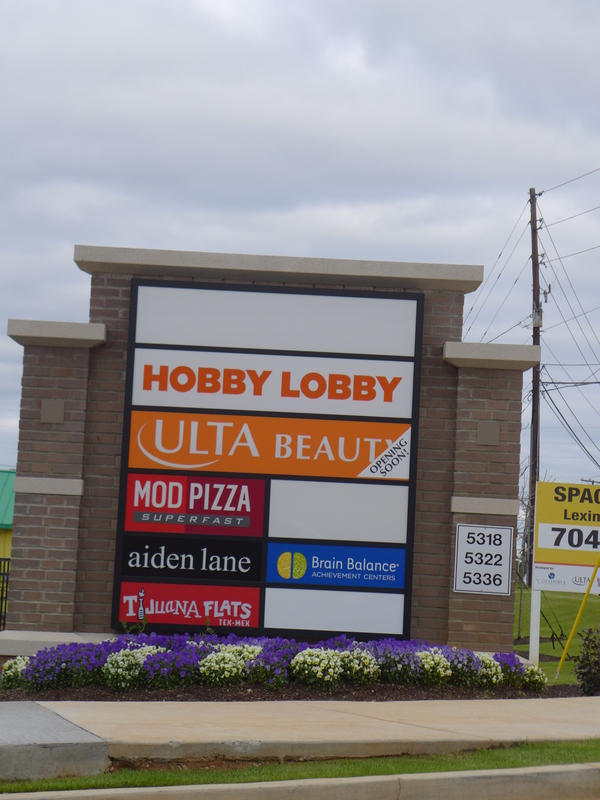 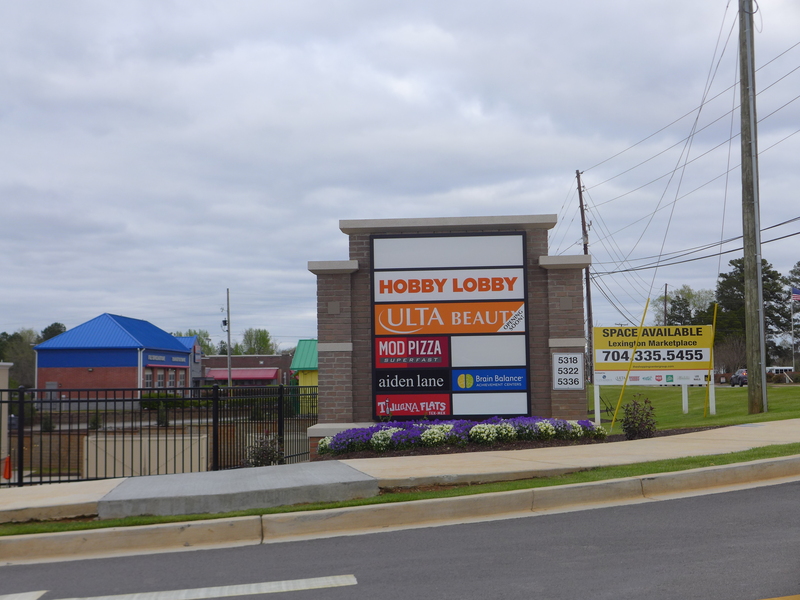 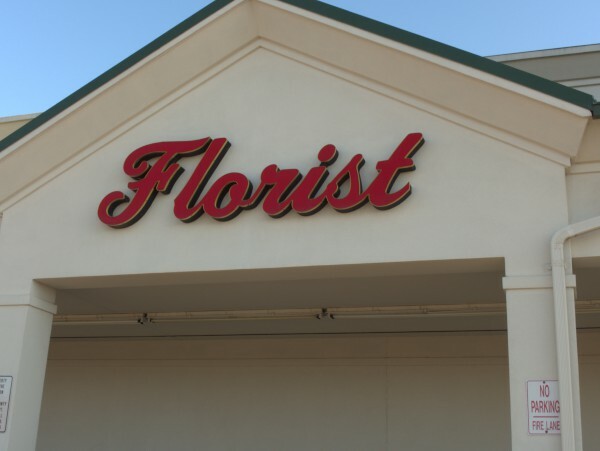 I did not do a closing on this location as a Bi-Lo at that time, so I'm including it in the post title and Alphabetical Closings now. 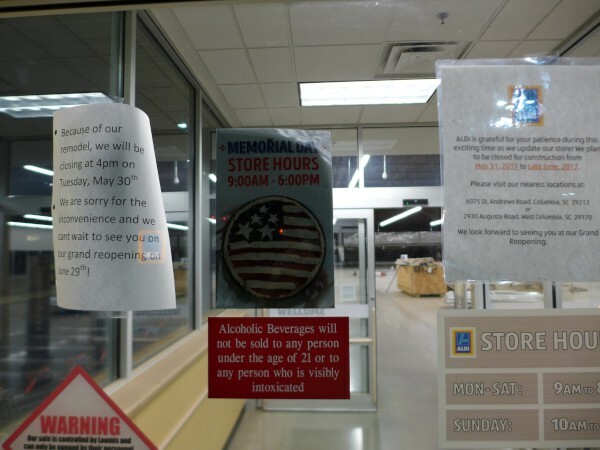 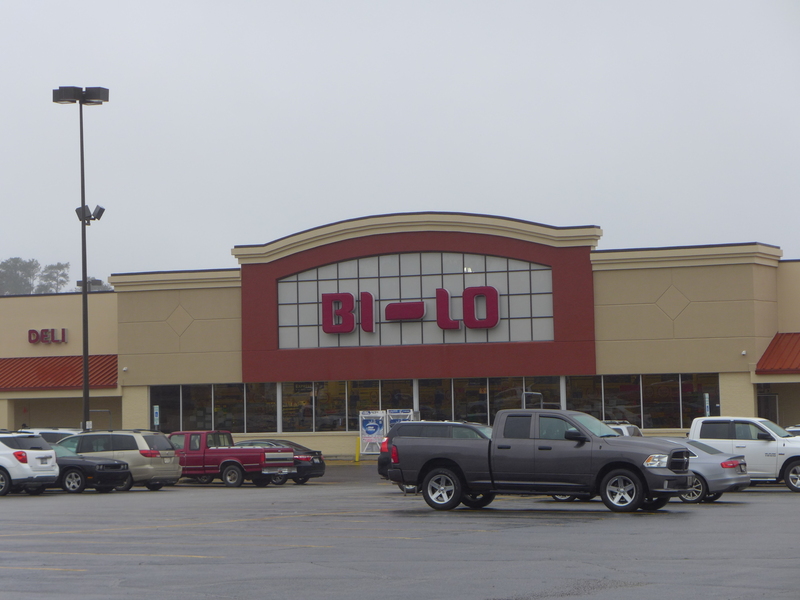 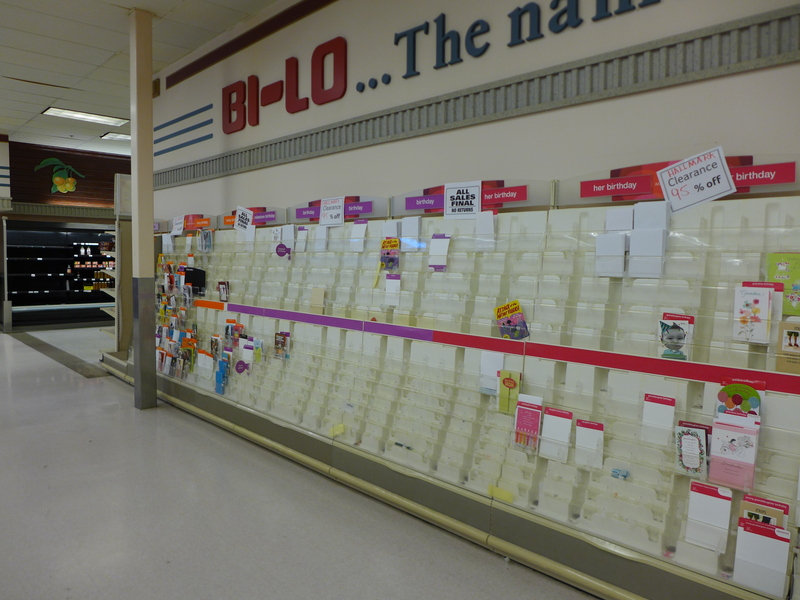 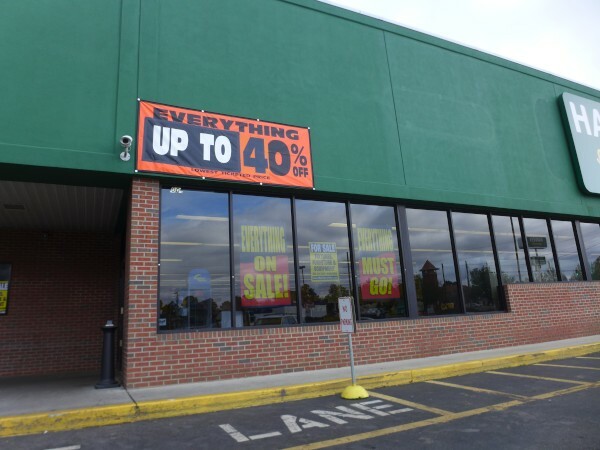 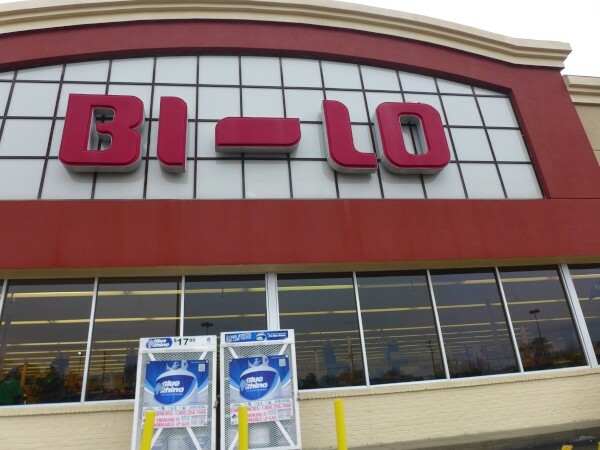 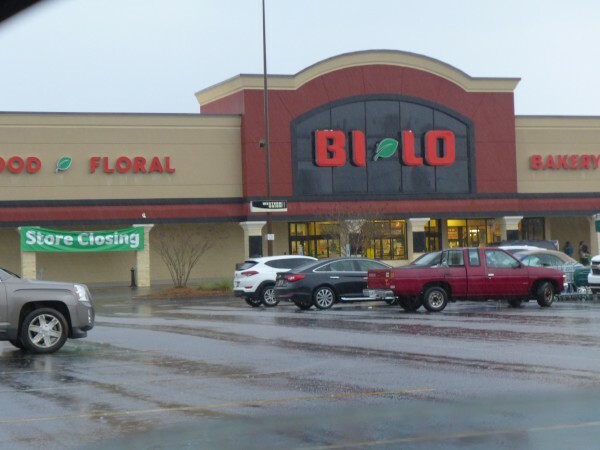 At this time, none of Columbia's remaining Bi-Lo locations are closing, but that is probably another shoe waiting to drop. 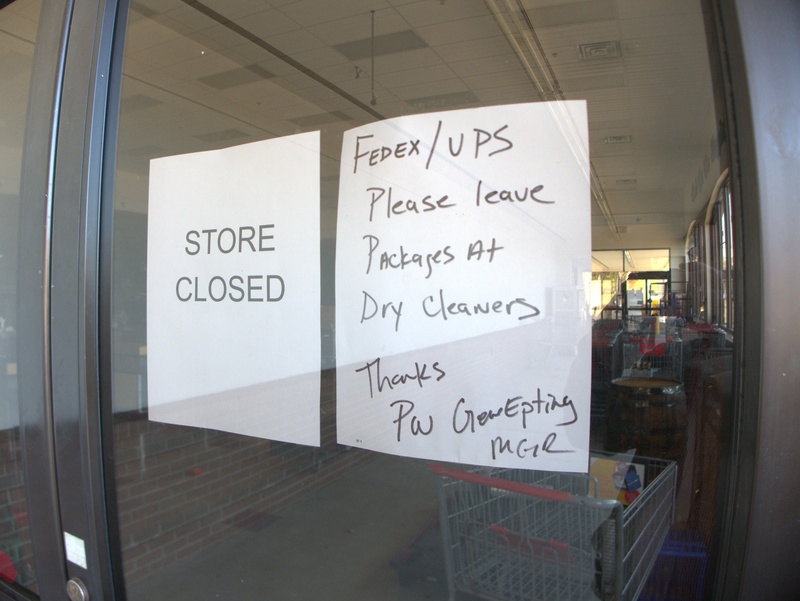 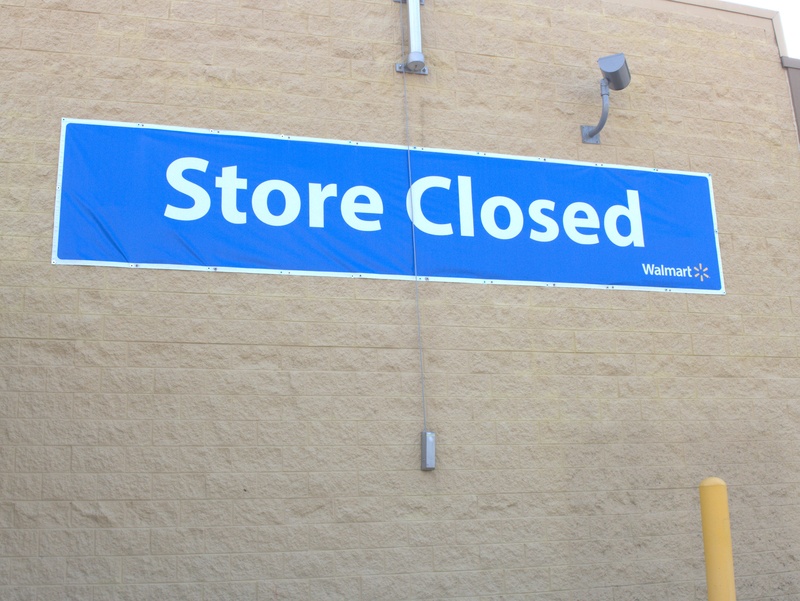 The full list of closing stores across both nameplates and over all affected states is here. 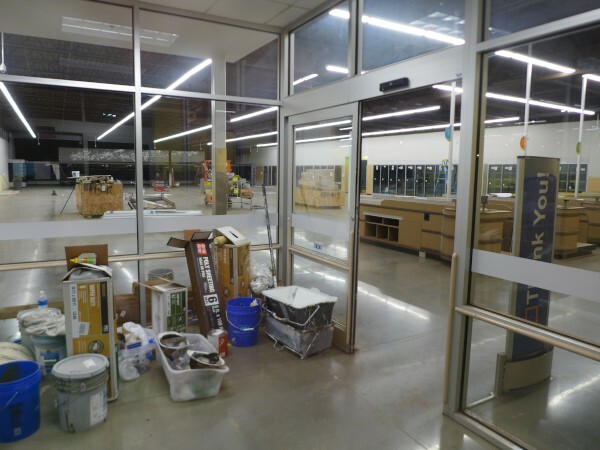 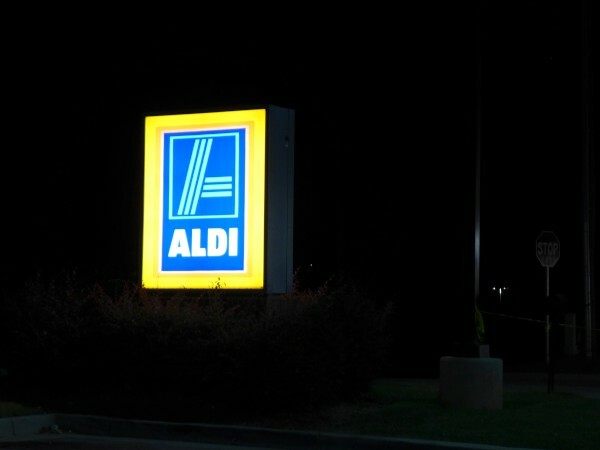 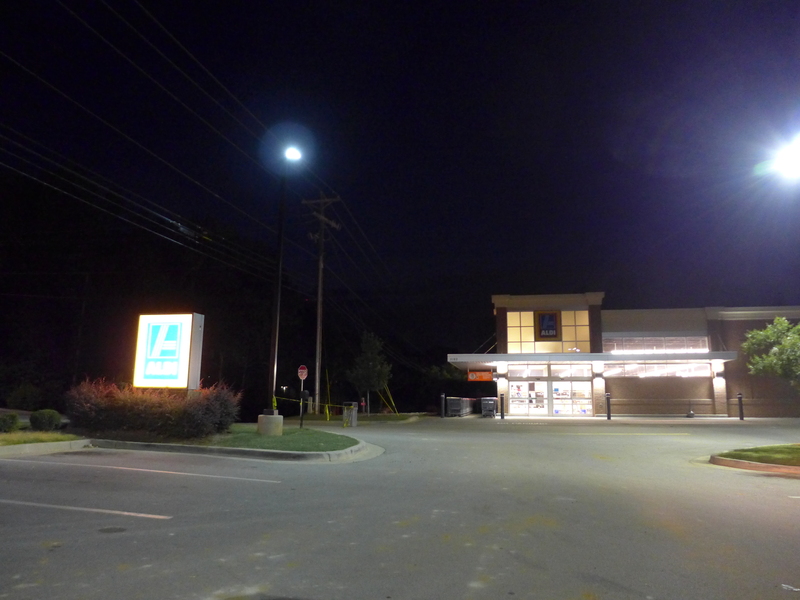 As the store on Saint Andrews Road did earlier, the new-ish Aldi in Lexington has closed for a complete remodel. 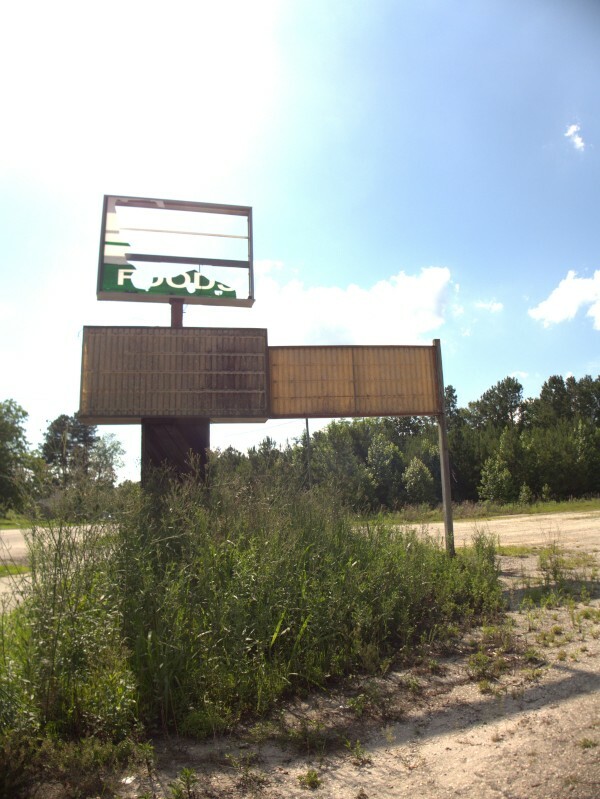 The signs say that they are slated to be back on 29 June 2017. 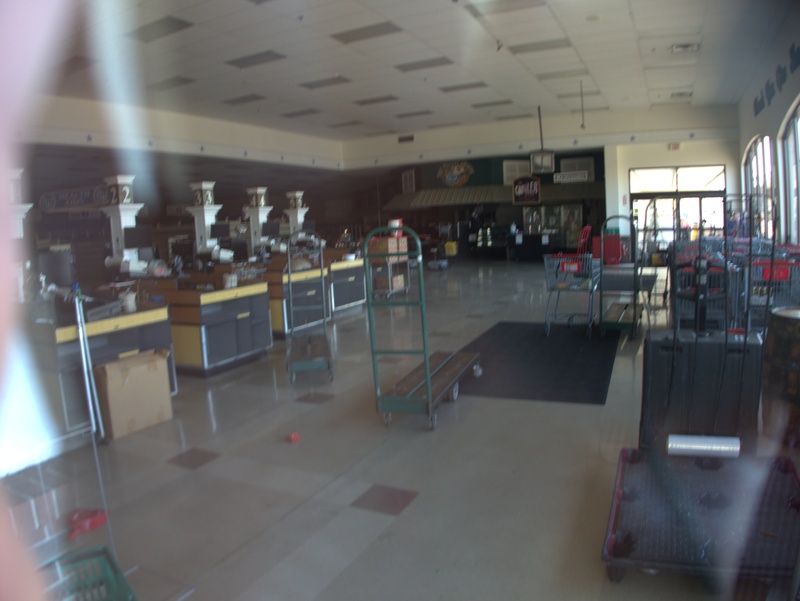 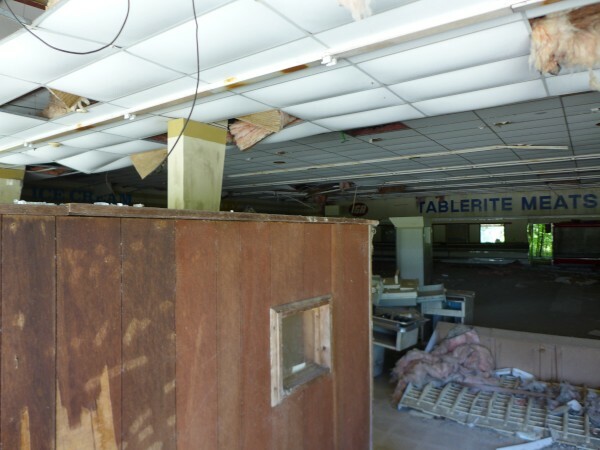 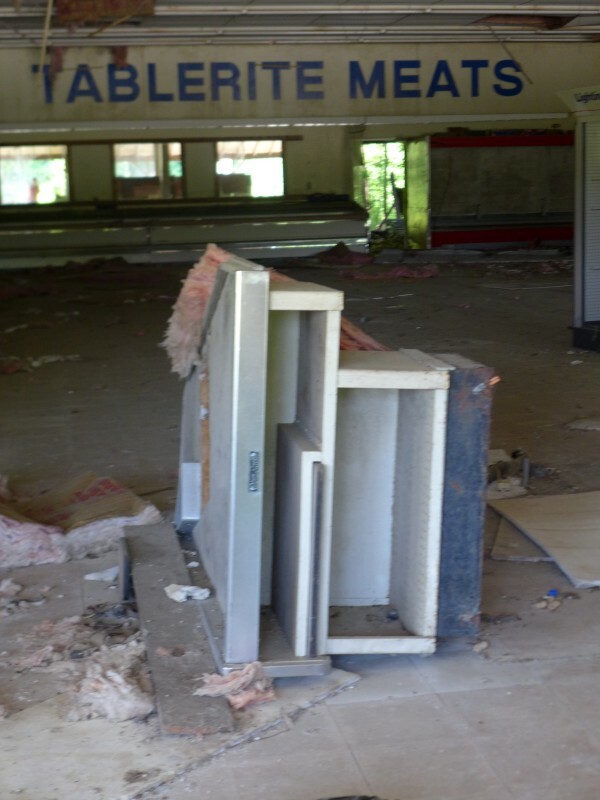 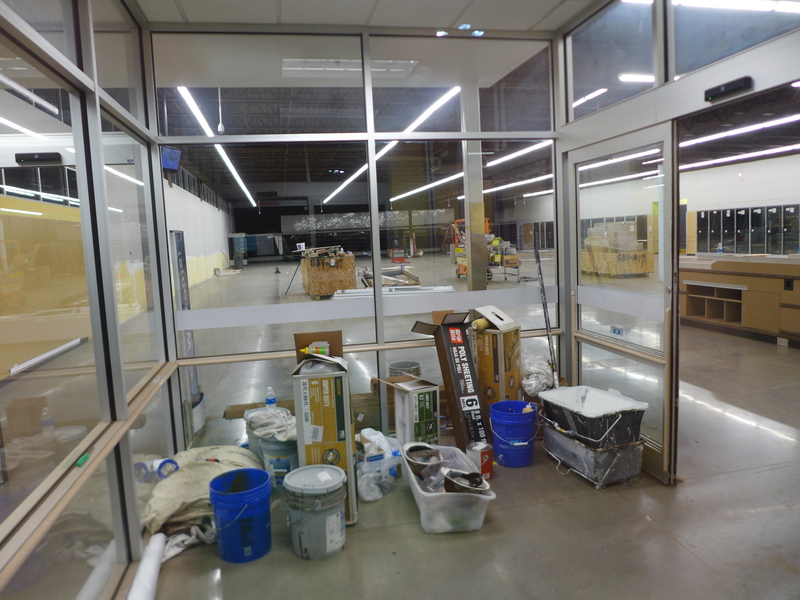 That may be pusing it: That's less than 15 days away, and the store appears completely gutted now. 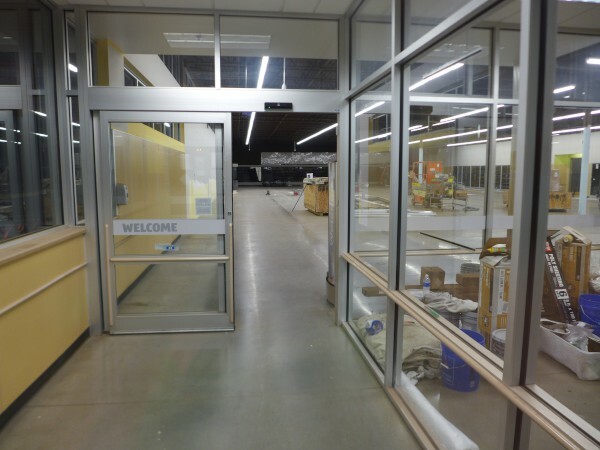 Looking back, the old Bike To Nature building was still here in August of 2013, and construction of this store still had not started in February of 2014, so they are doing a complete upfit after being open less than three years..